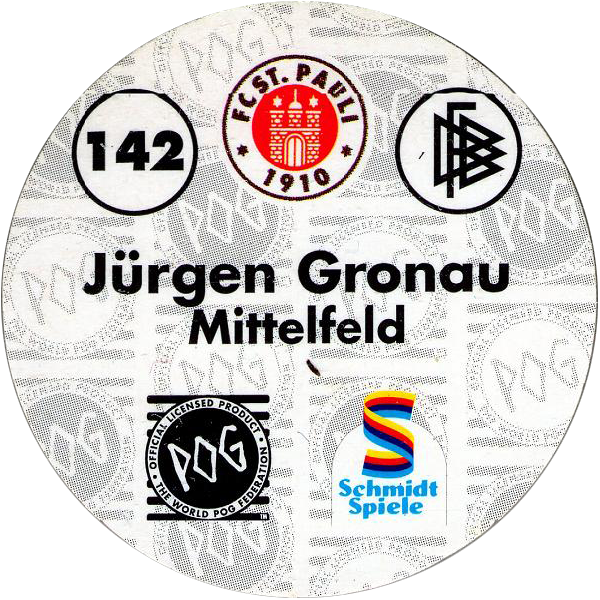 Info:This third set of Bundesliga carries on from the sceond set, with the pogs being numbered from 141 - 210. 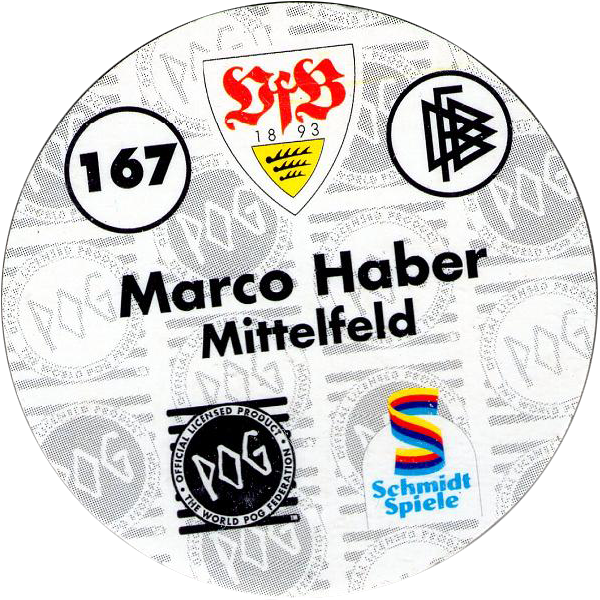 They feature players and staff of 17 teams from the German football league. 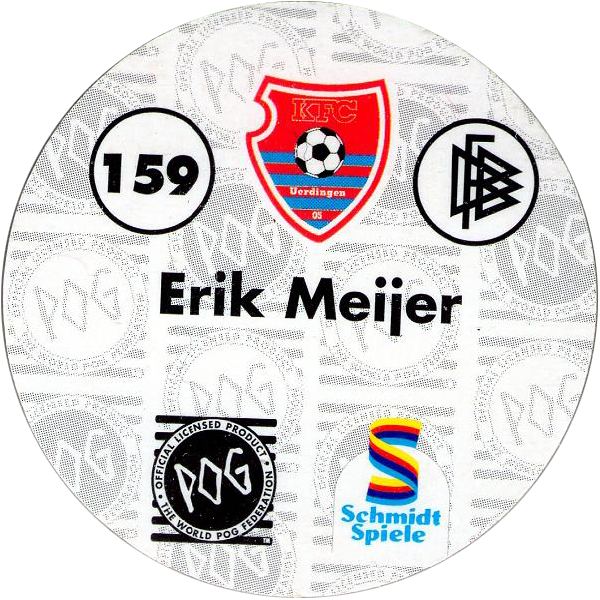 They were likely released during the 1995-96 season (The checklists have a copyright date of 1995), though the teams don't seem to exactly match those that were playing in the top division that season (especially given there are 18 teams in the division, not 17). 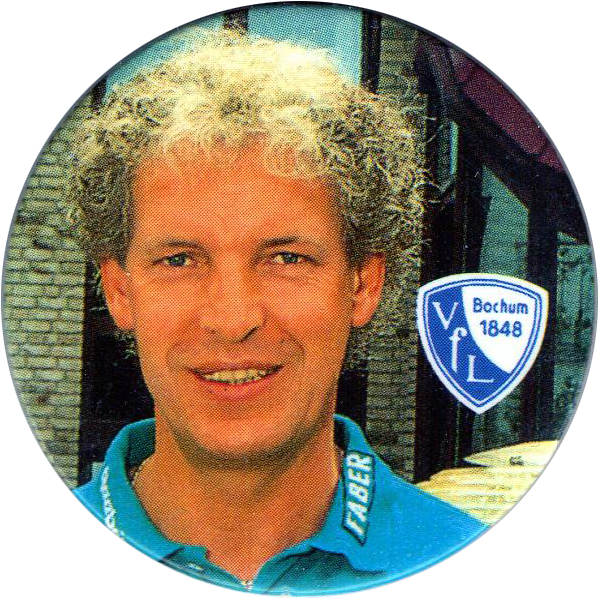 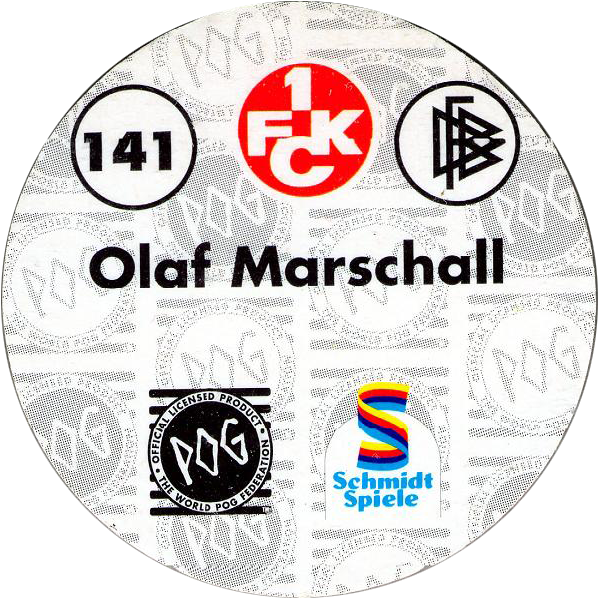 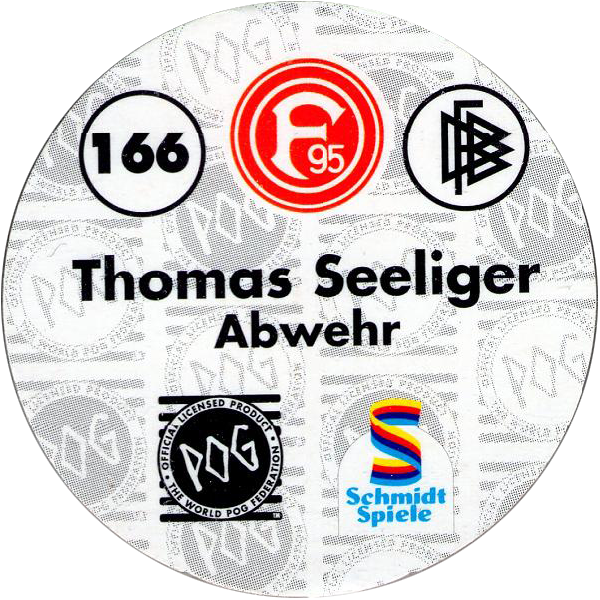 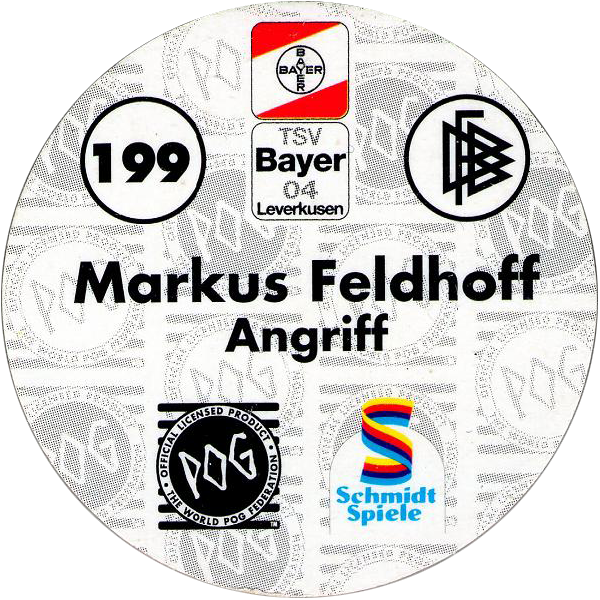 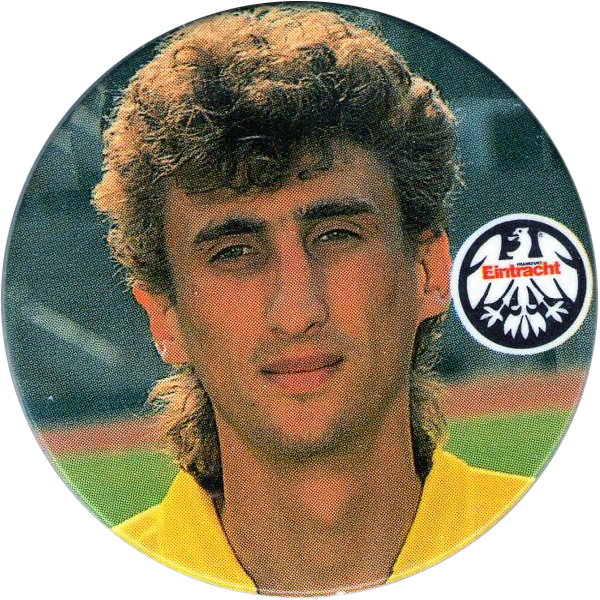 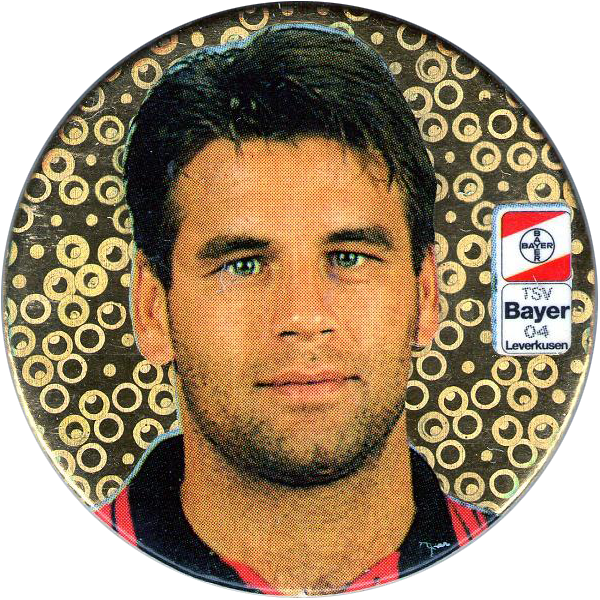 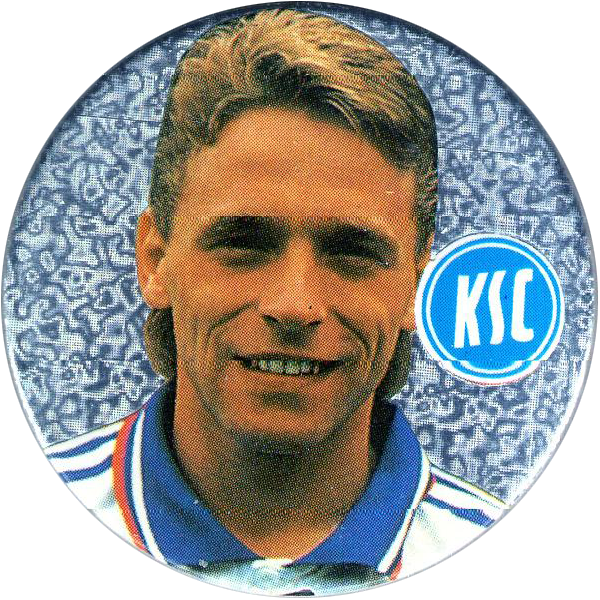 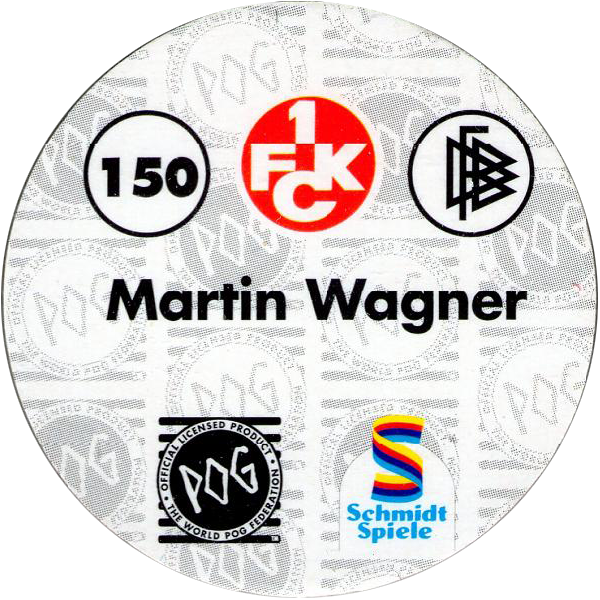 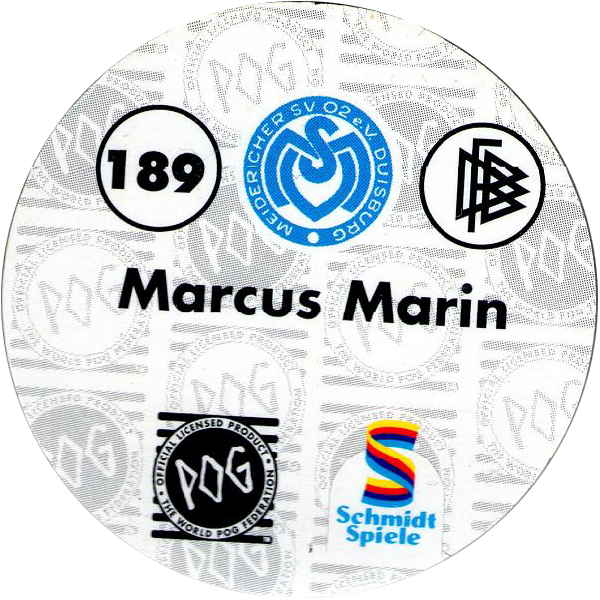 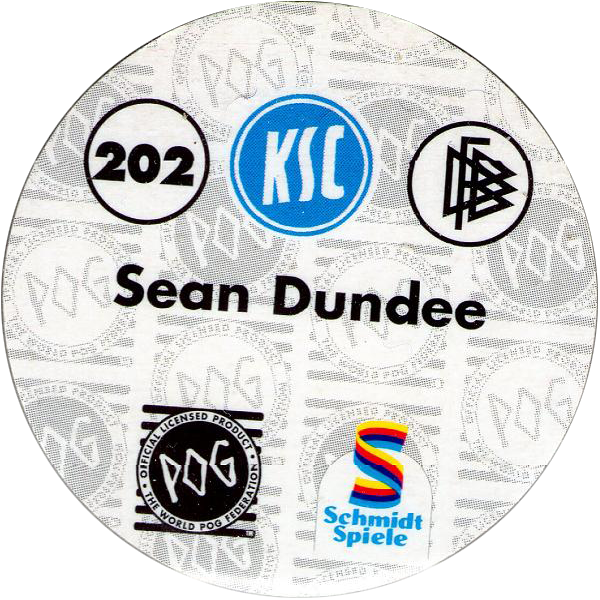 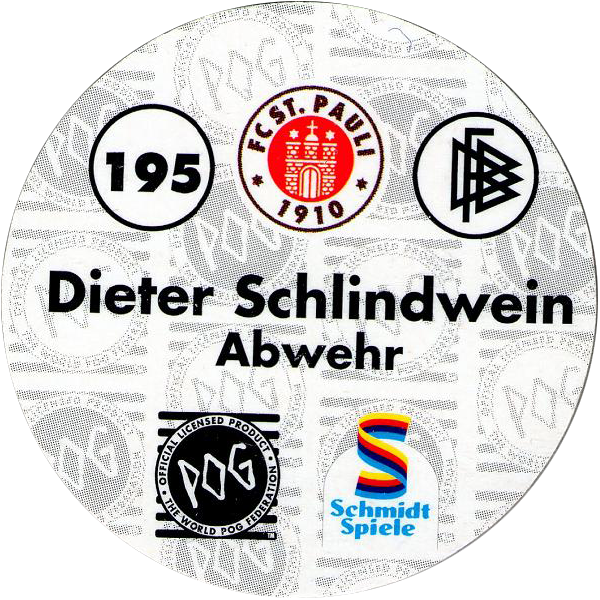 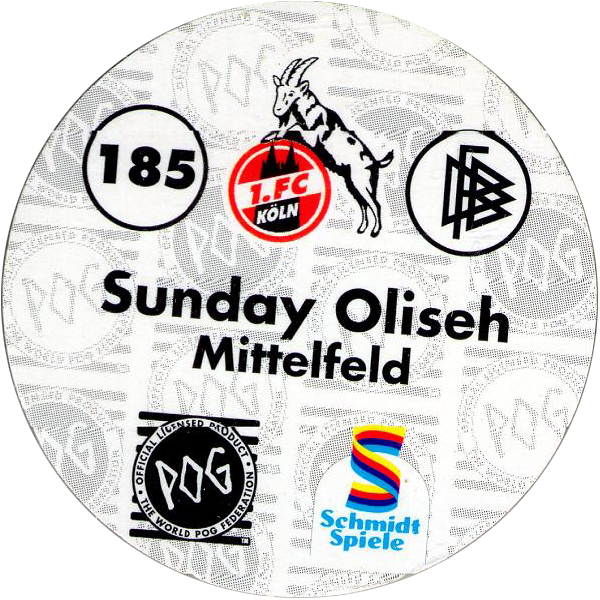 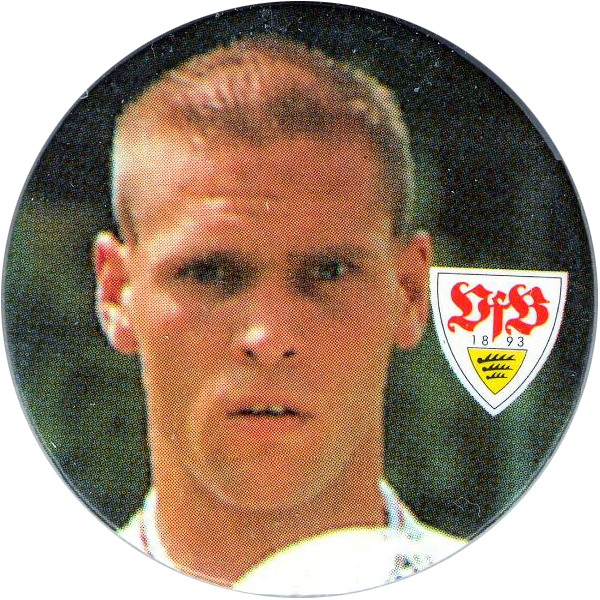 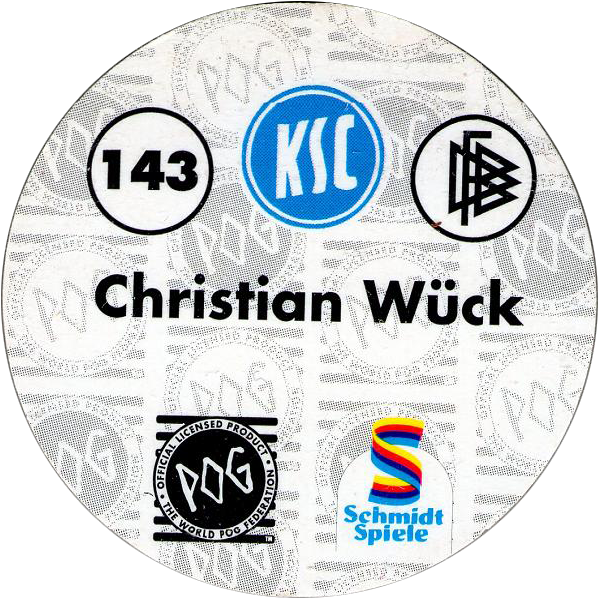 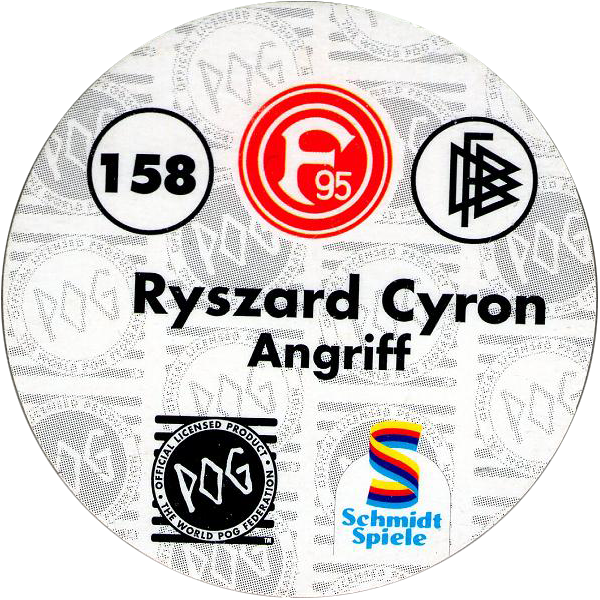 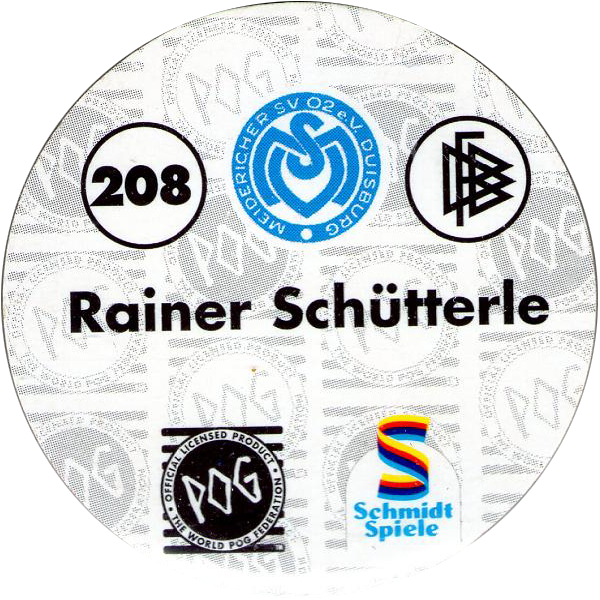 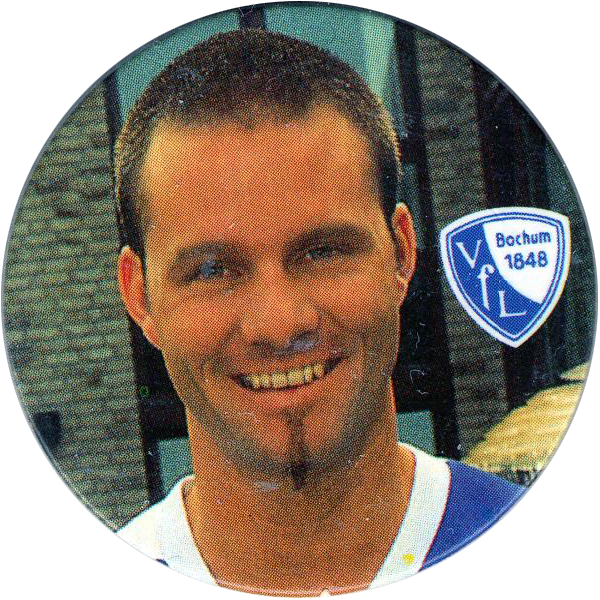 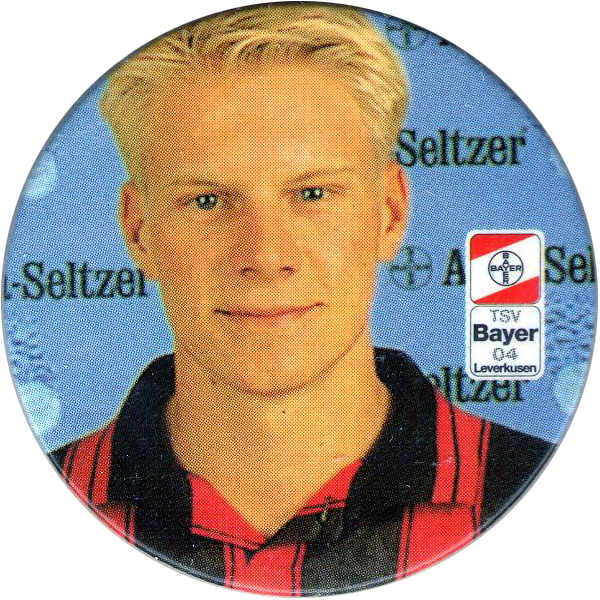 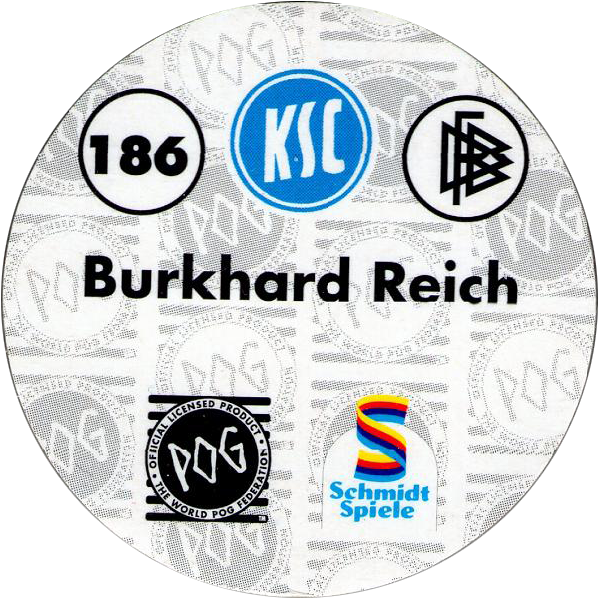 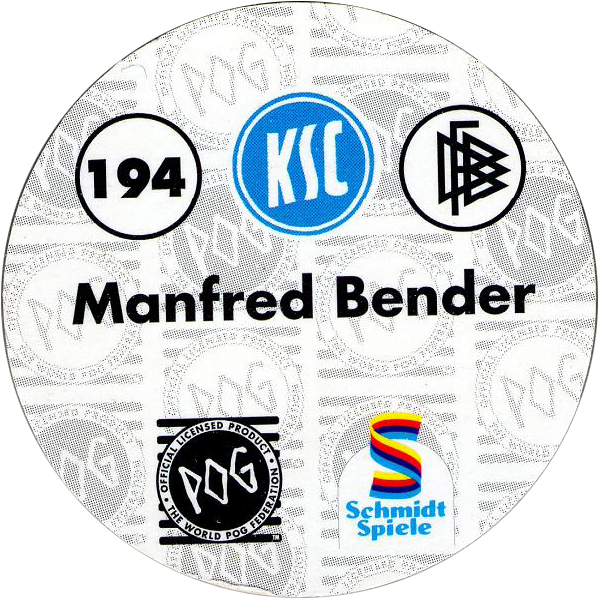 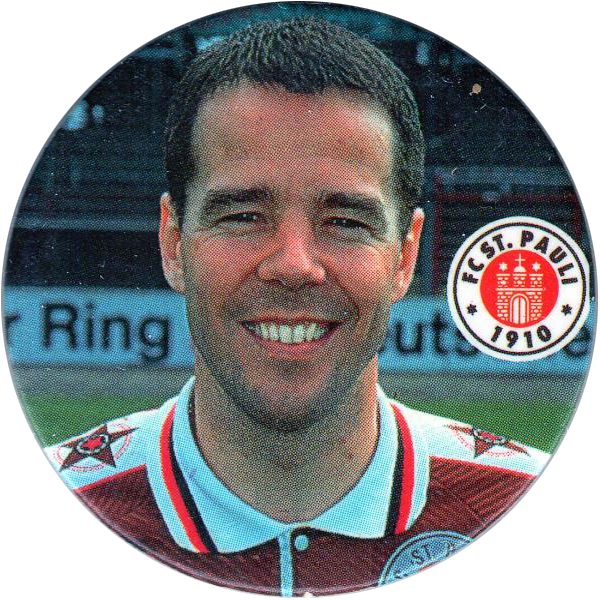 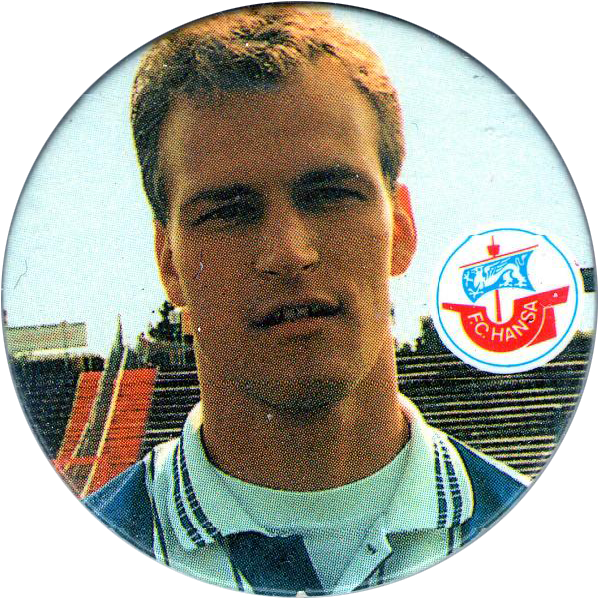 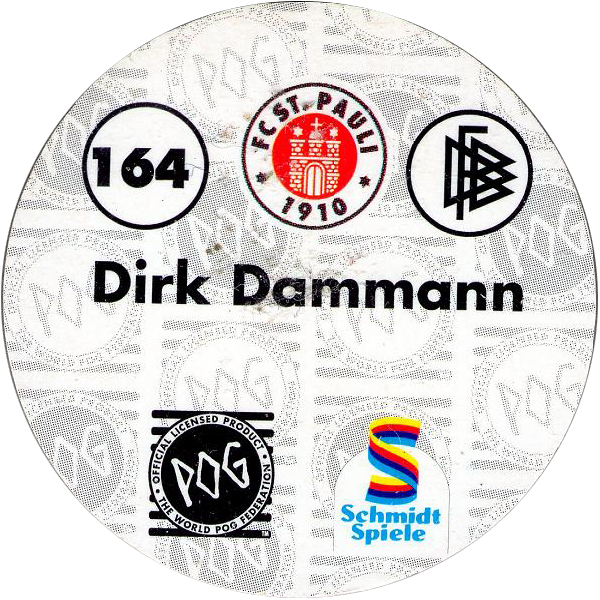 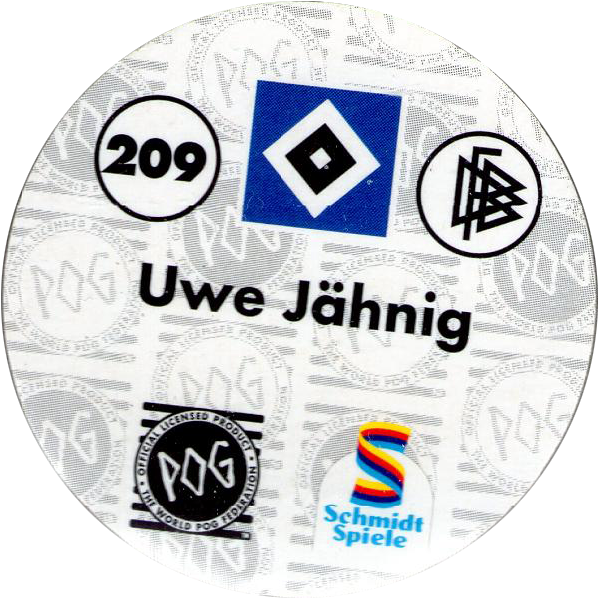 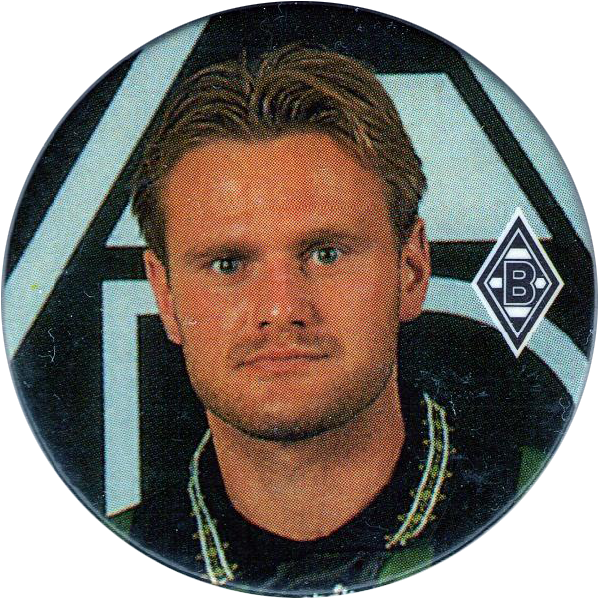 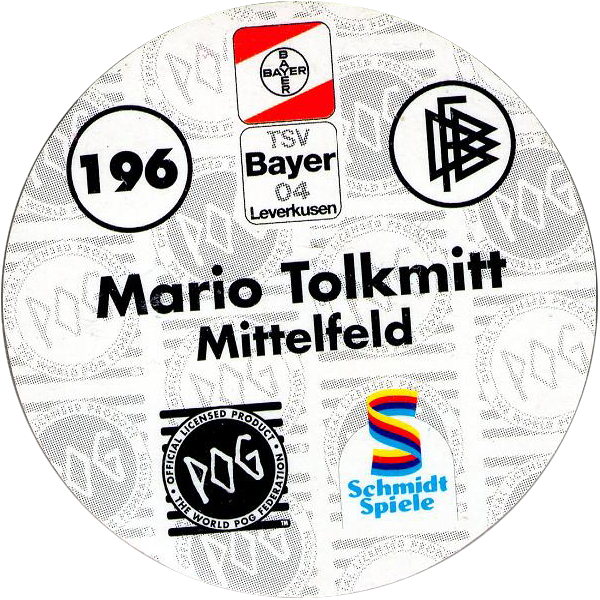 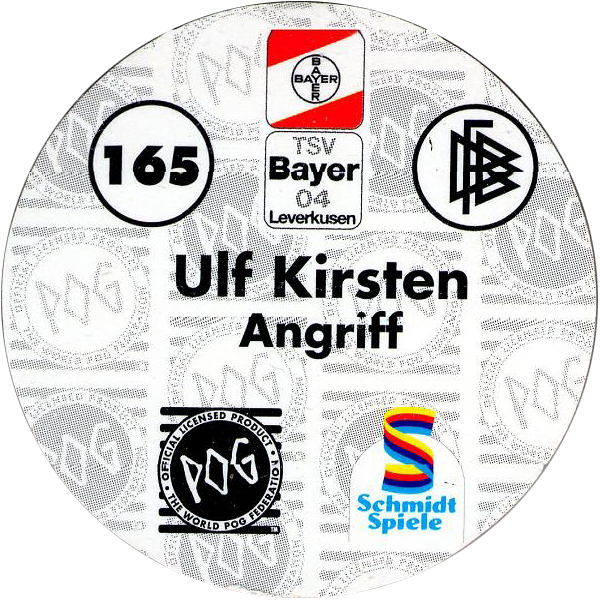 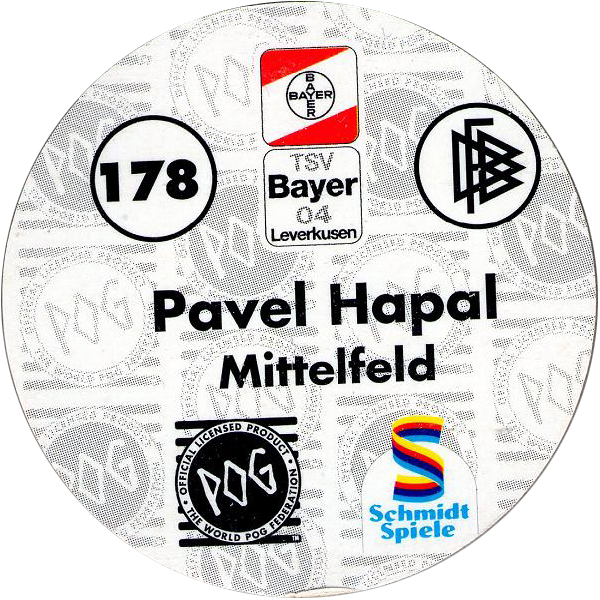 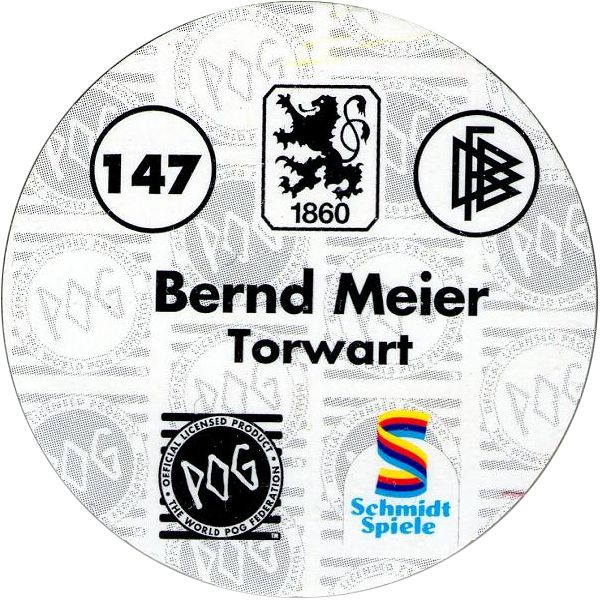 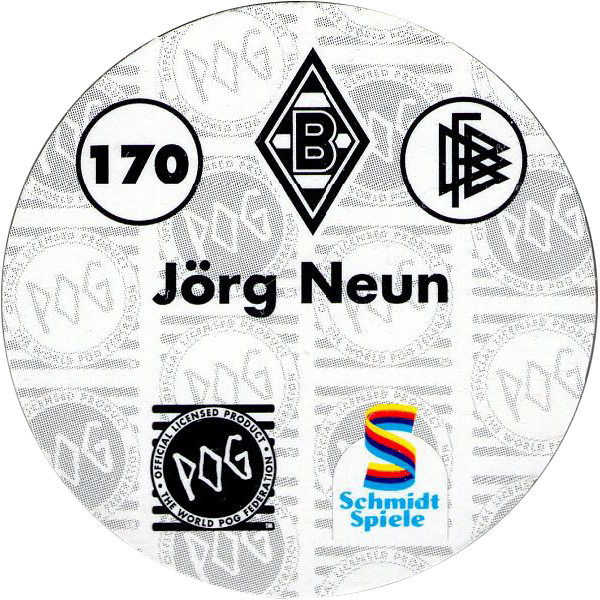 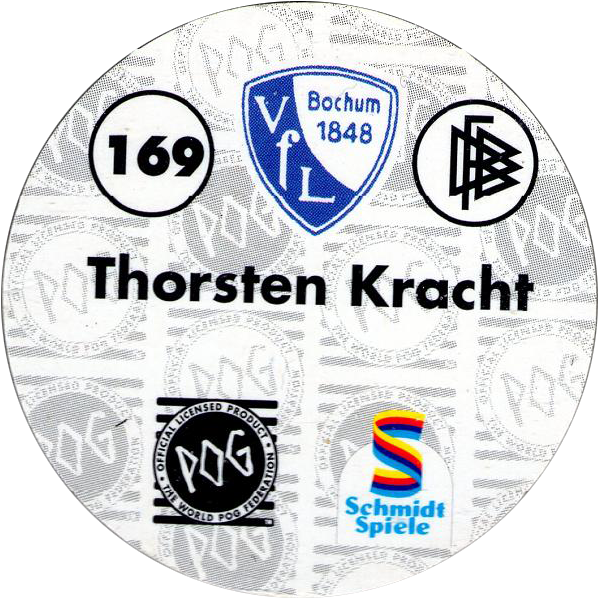 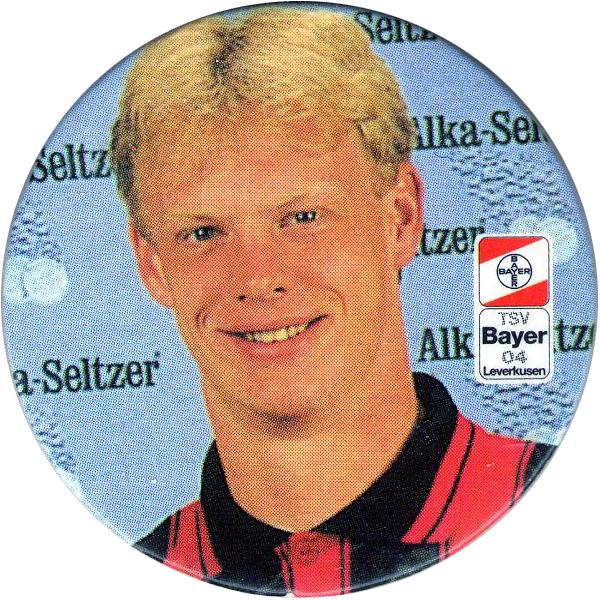 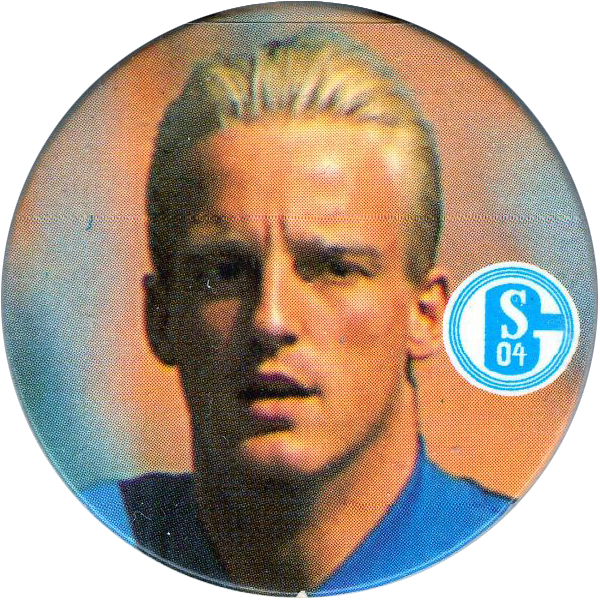 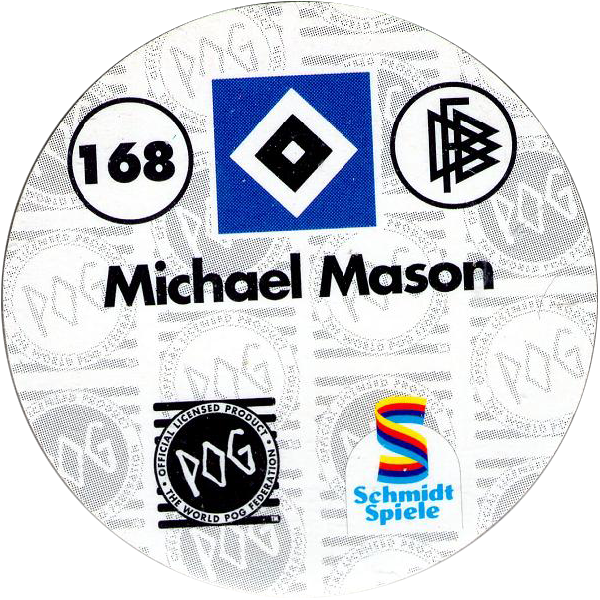 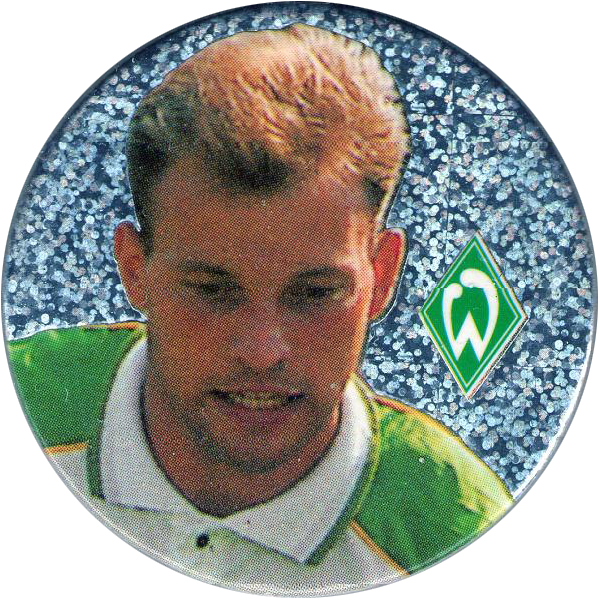 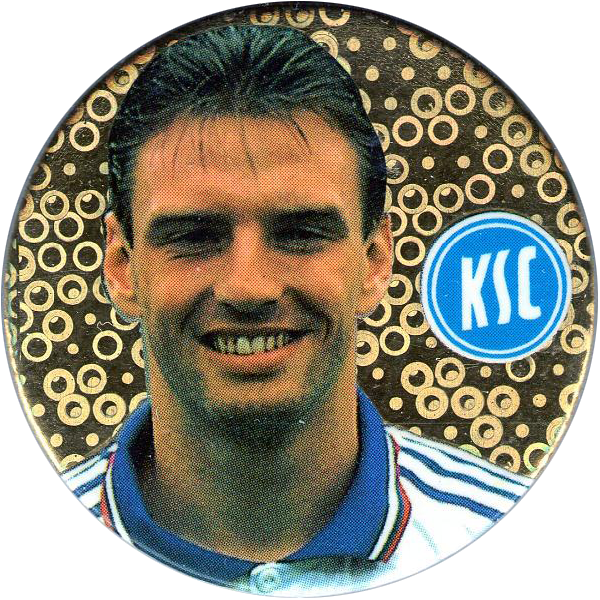 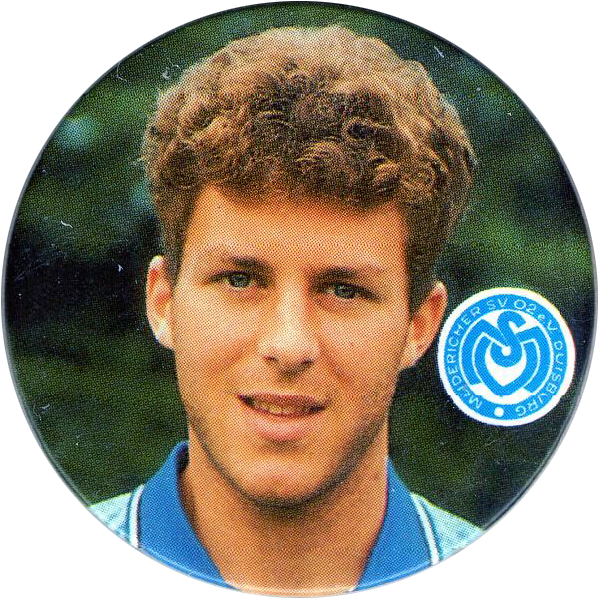 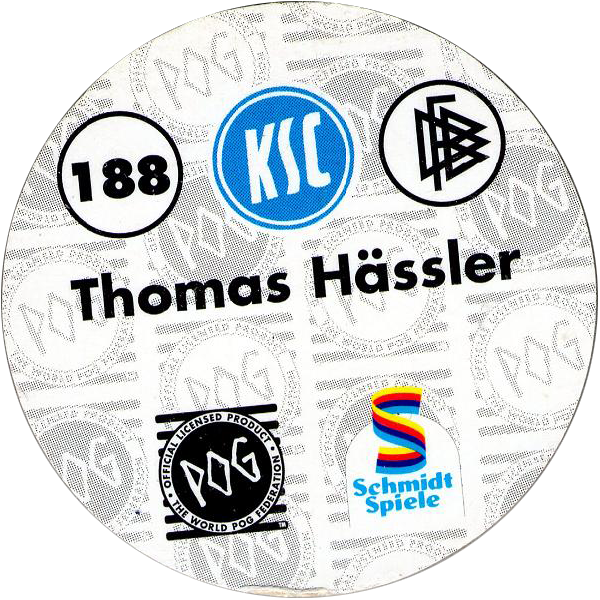 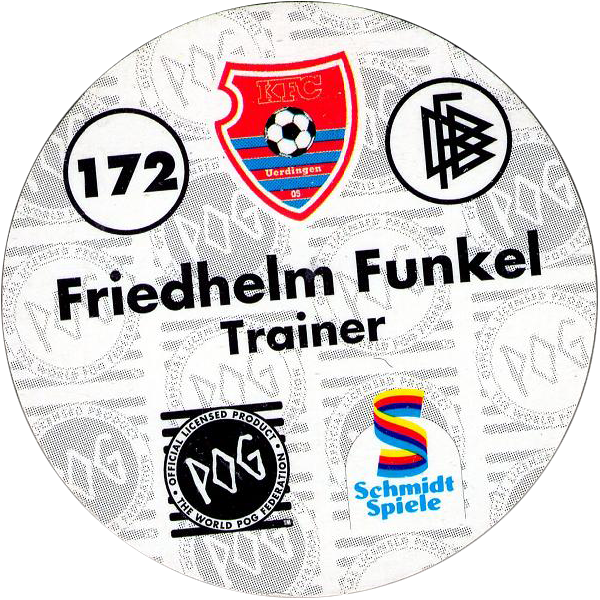 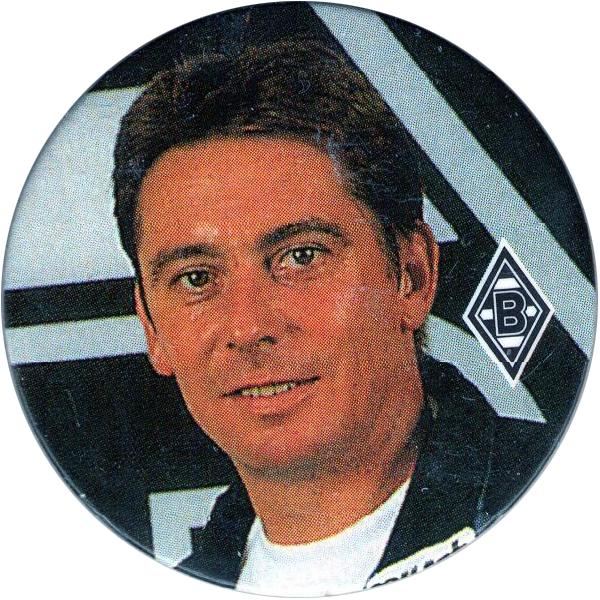 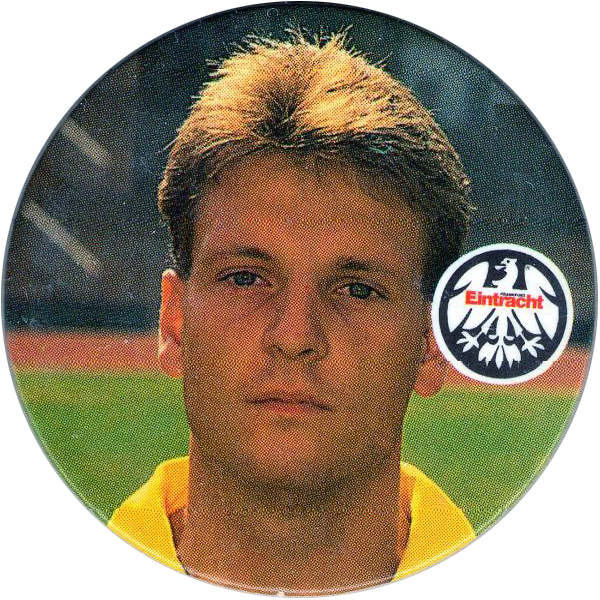 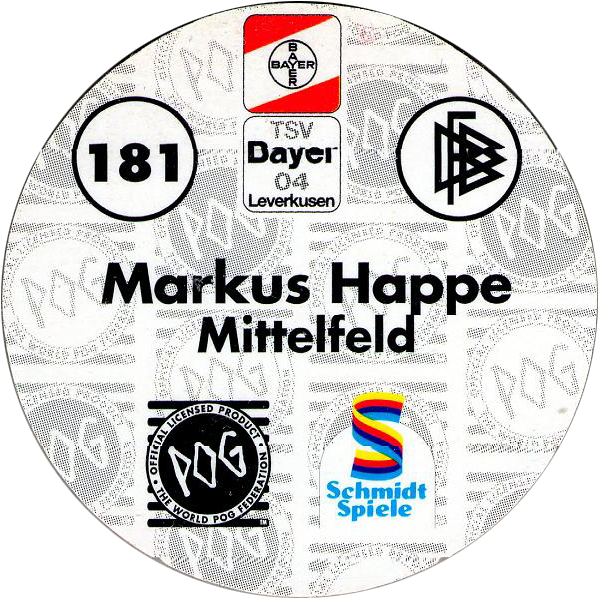 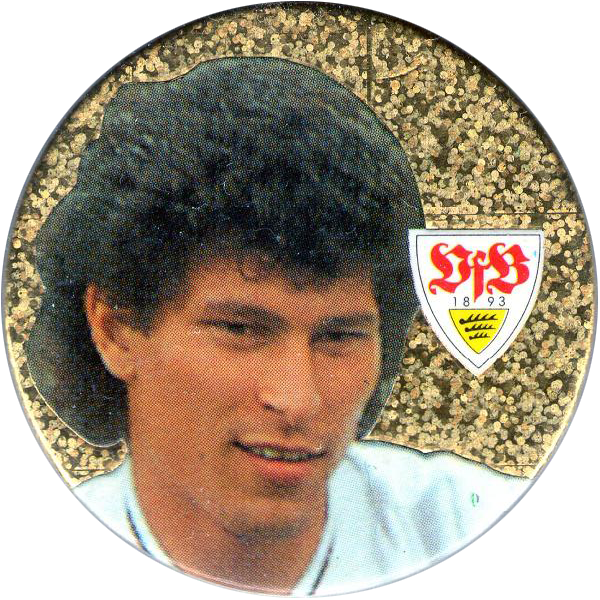 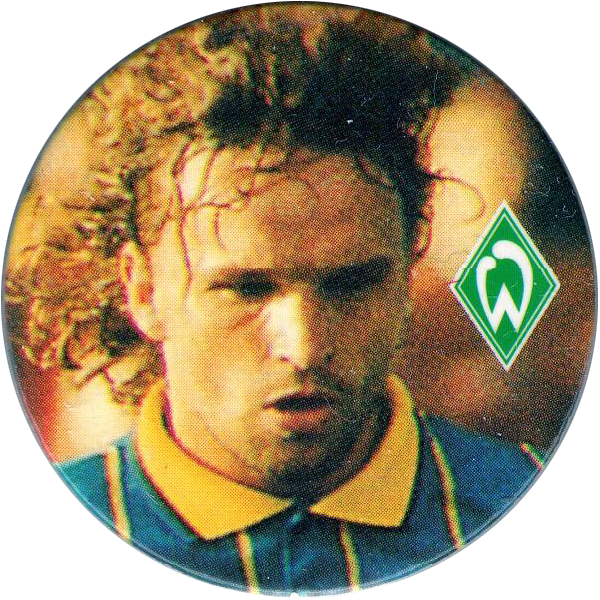 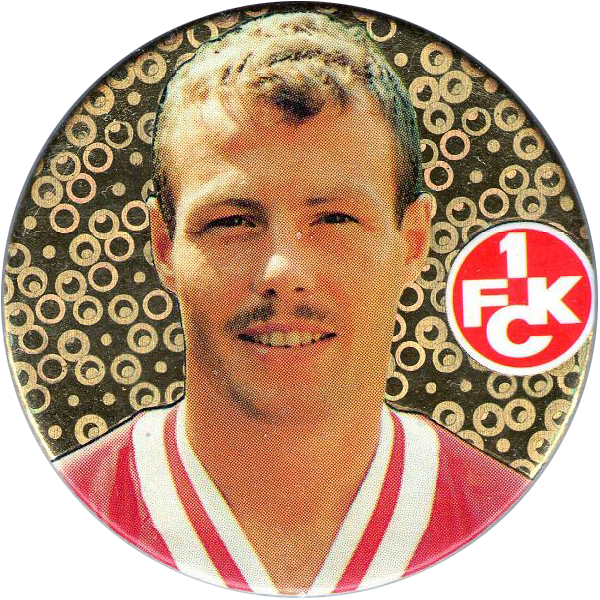 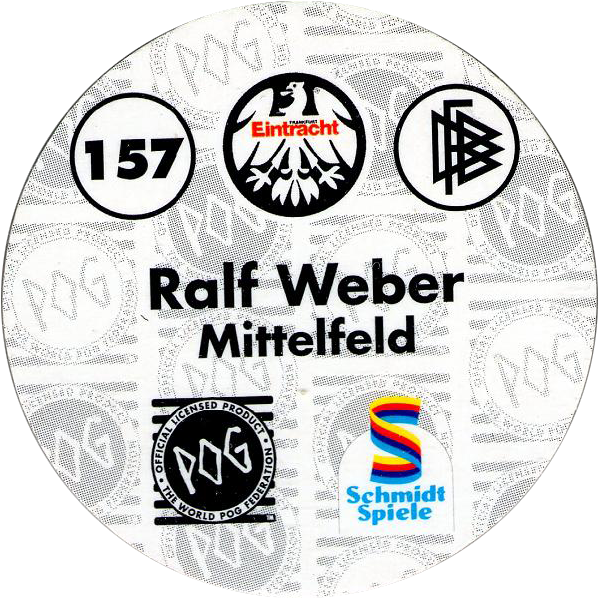 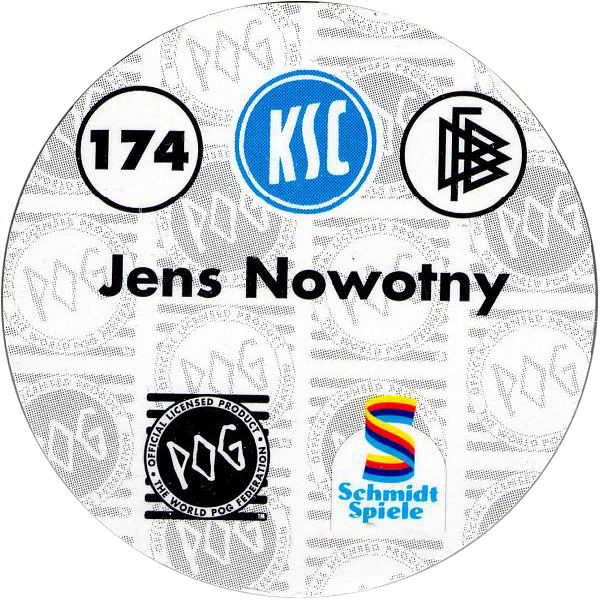 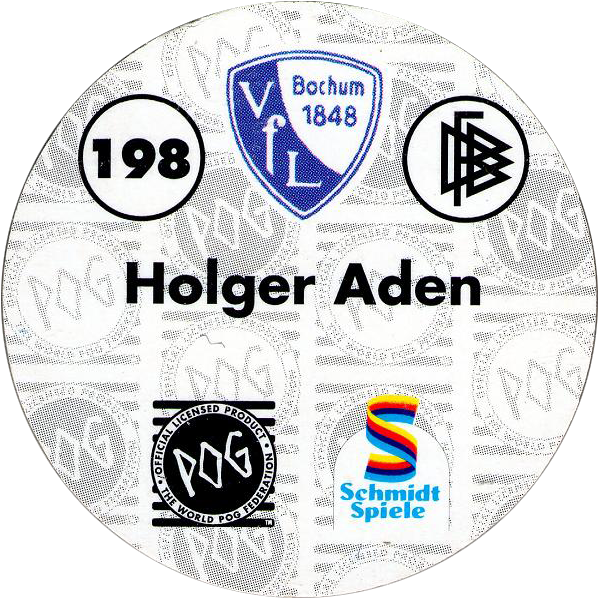 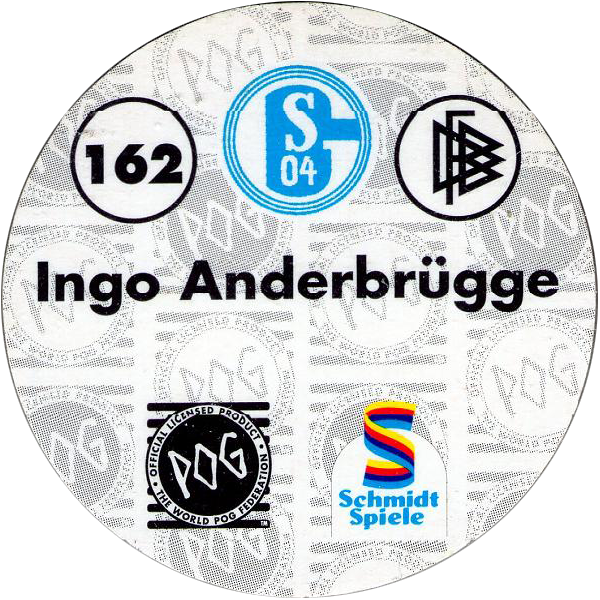 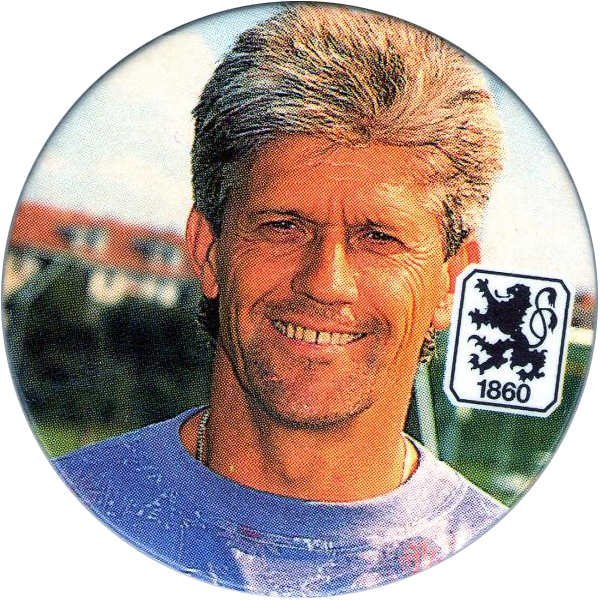 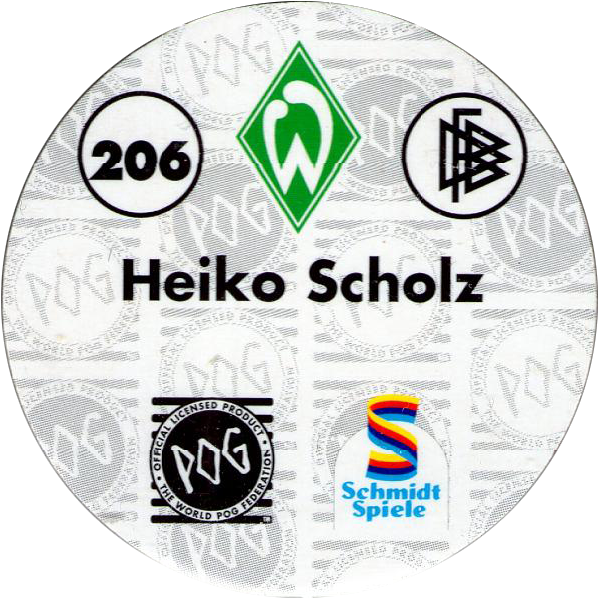 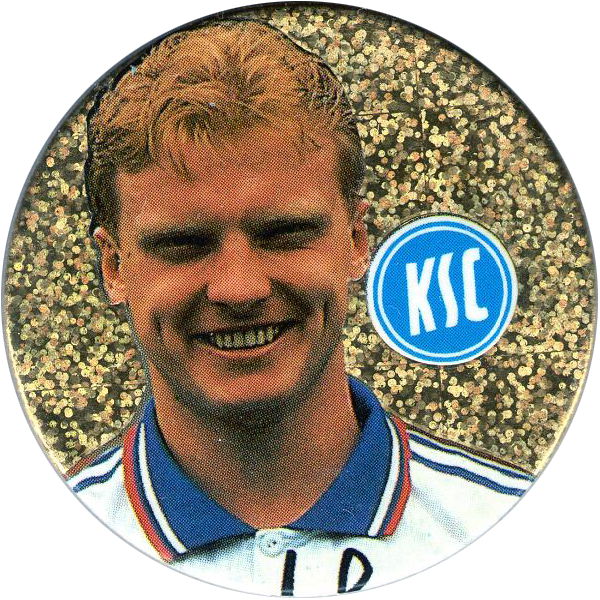 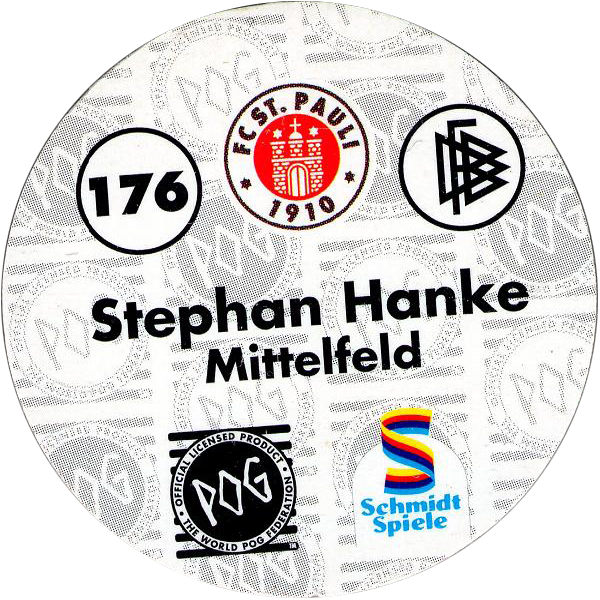 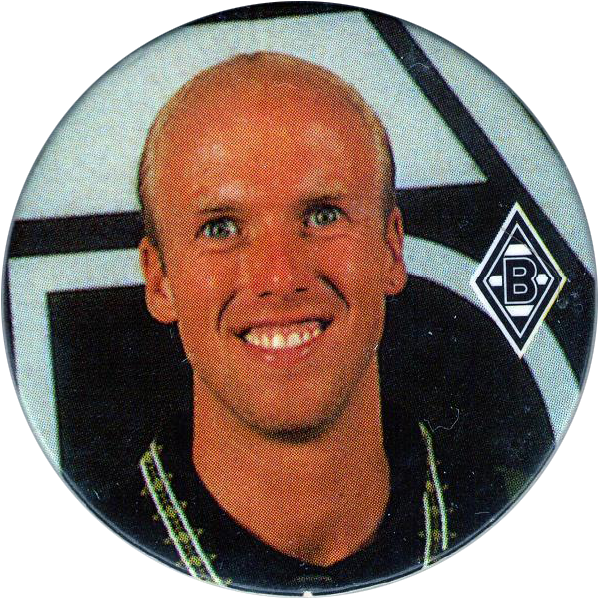 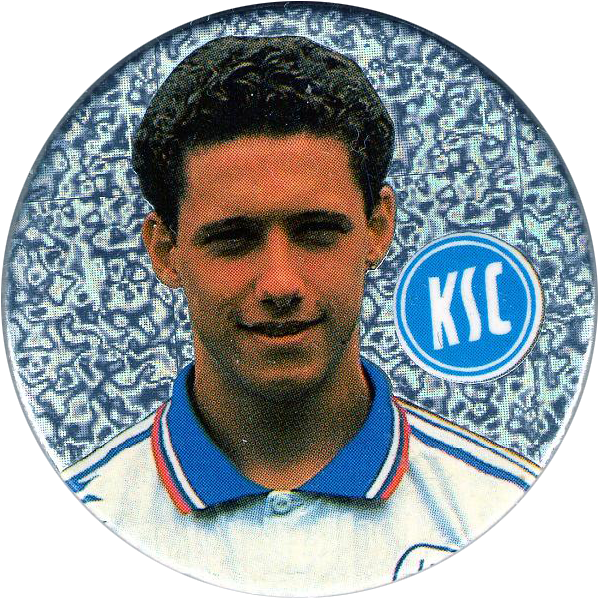 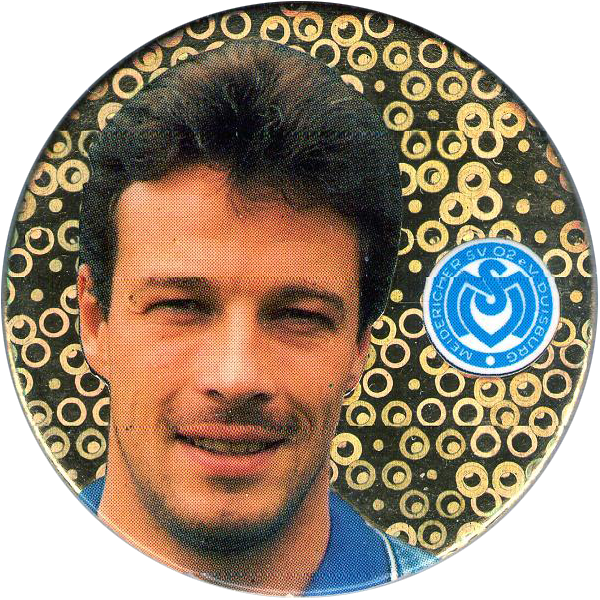 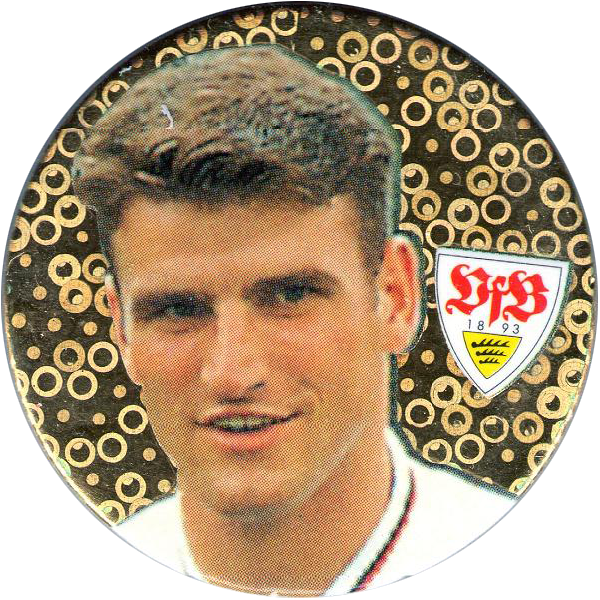 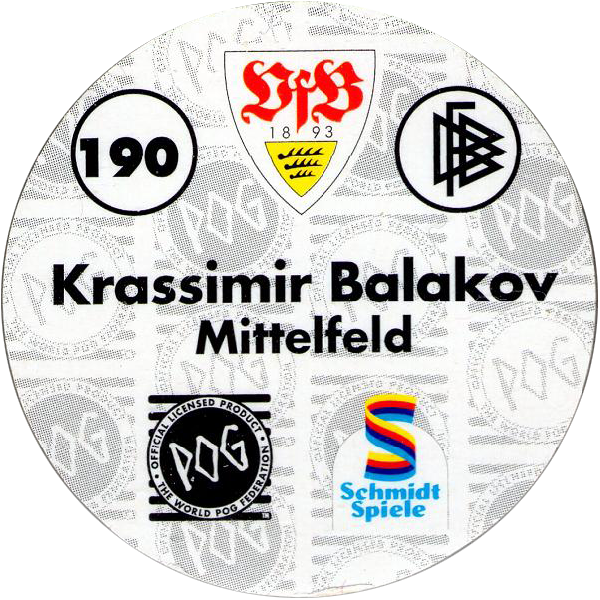 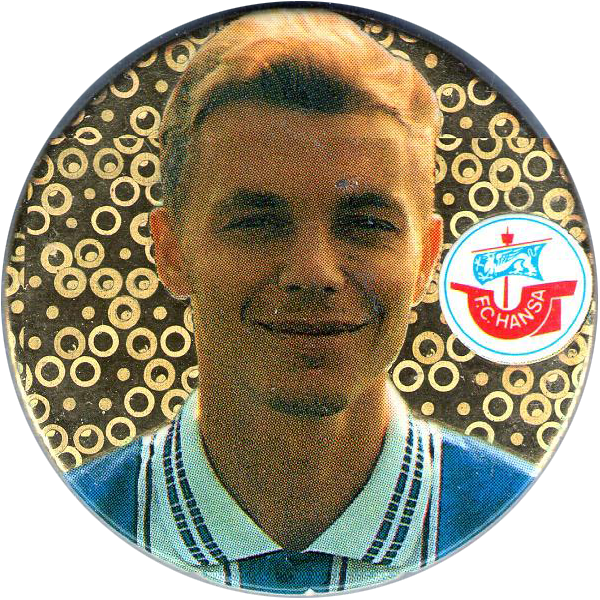 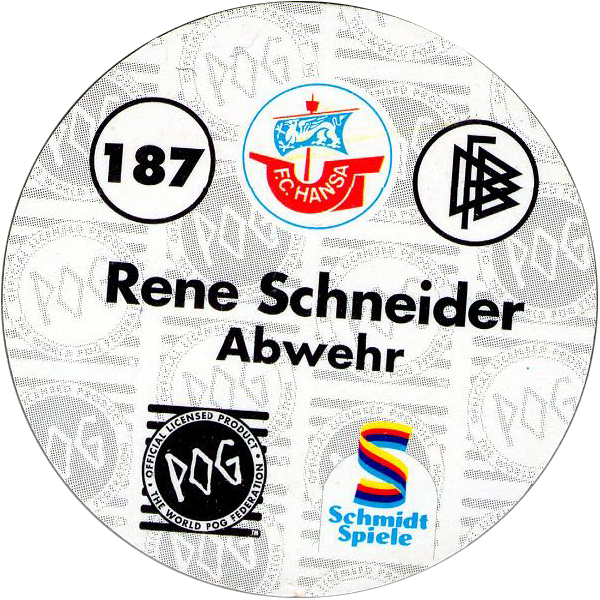 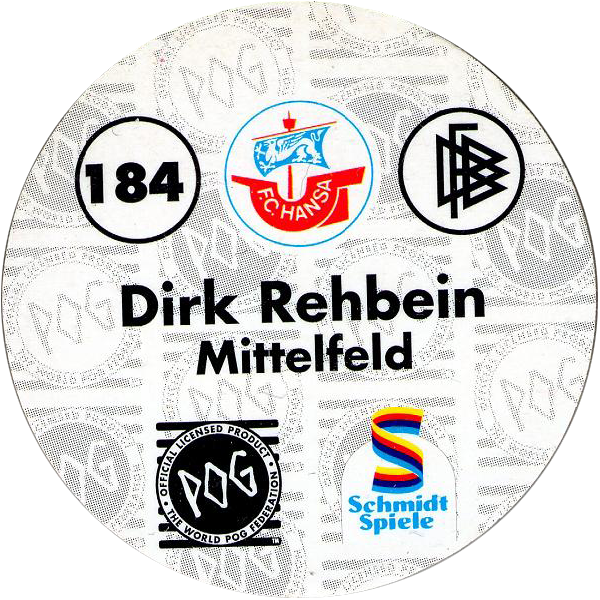 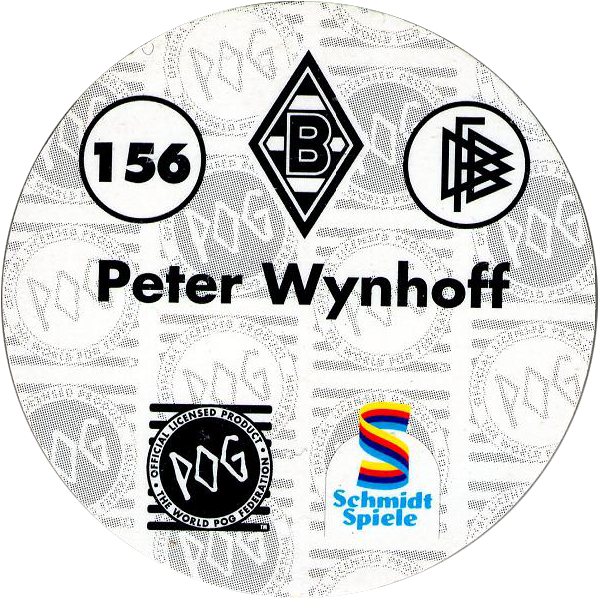 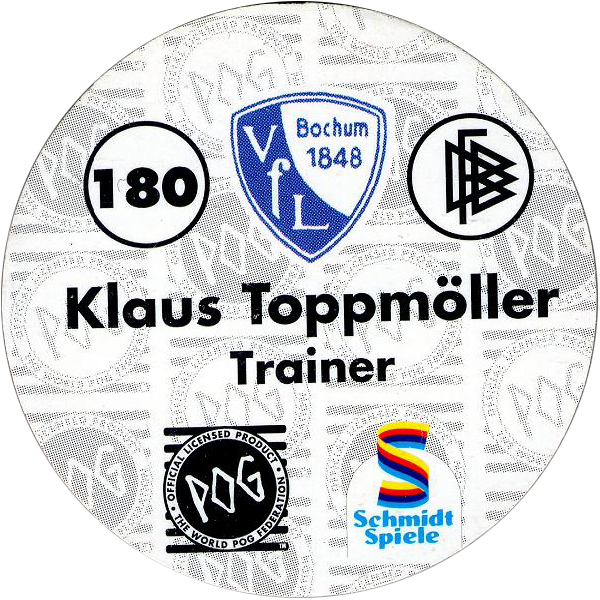 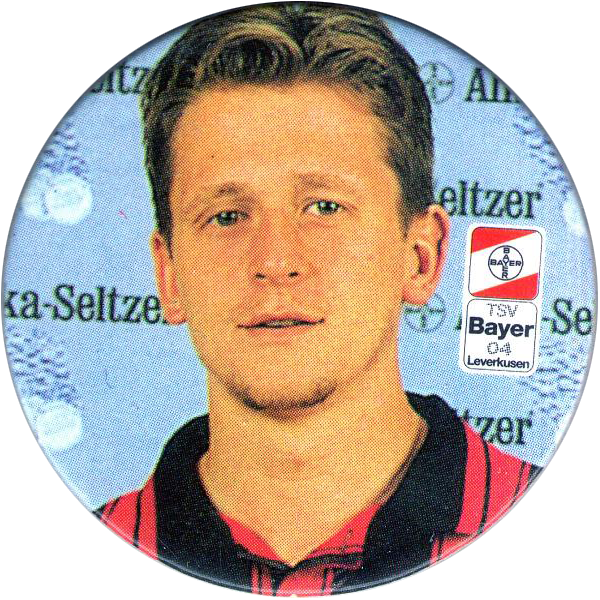 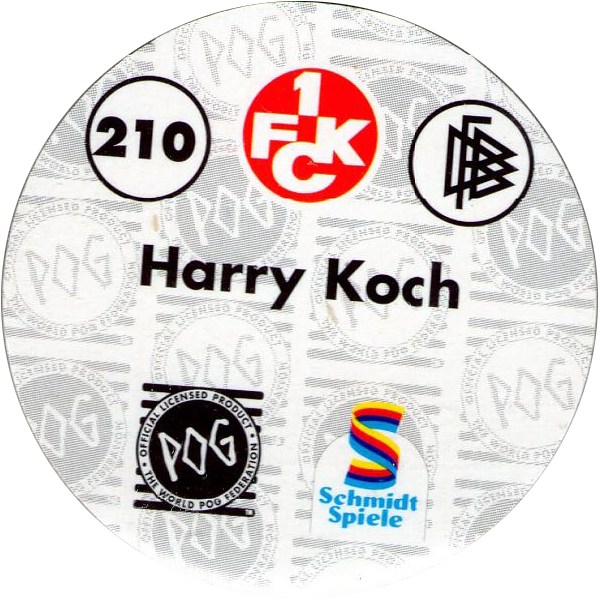 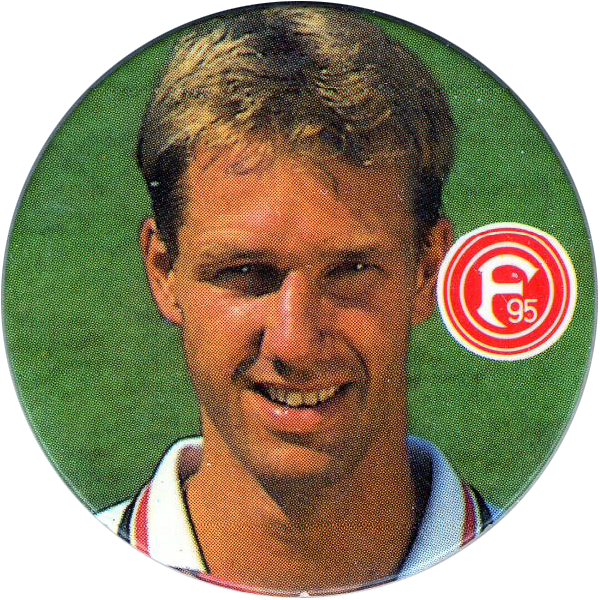 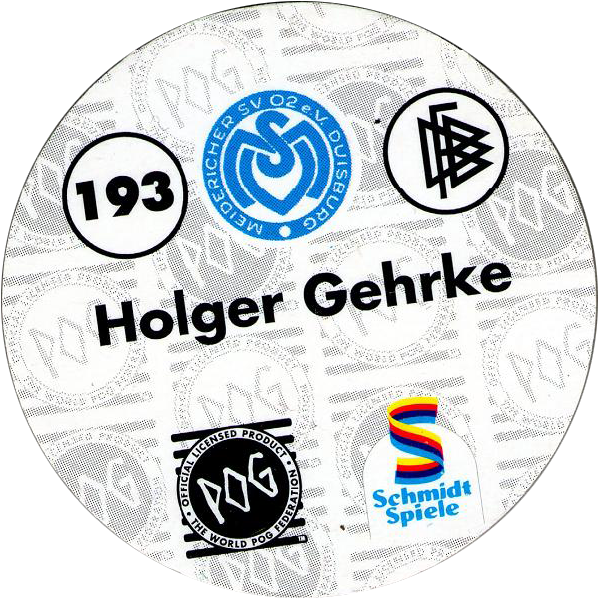 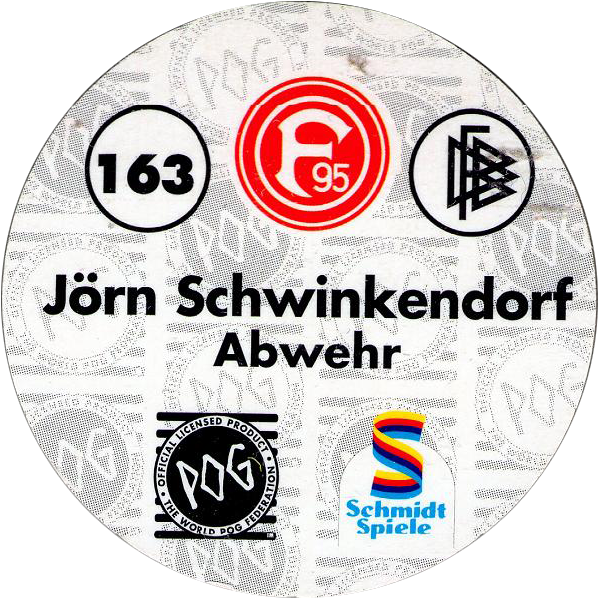 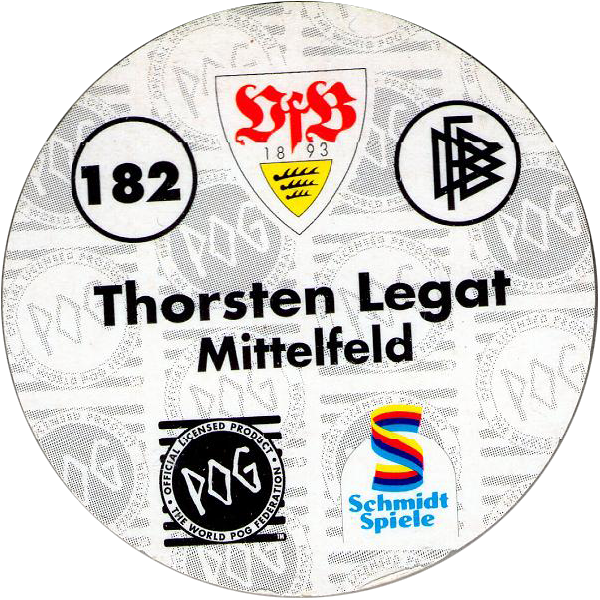 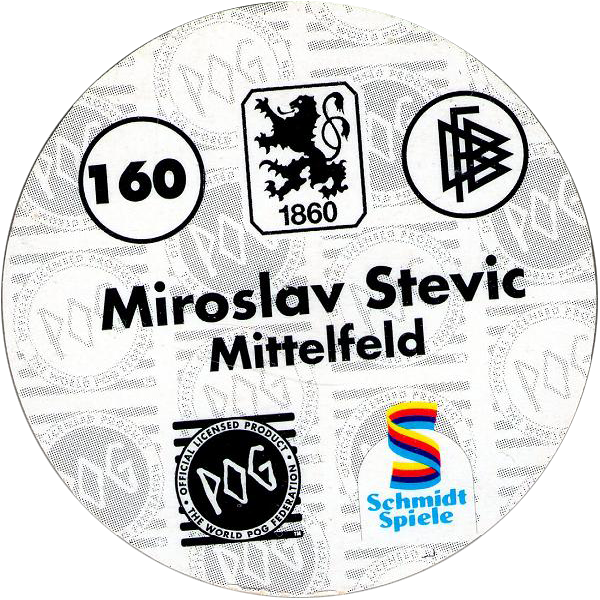 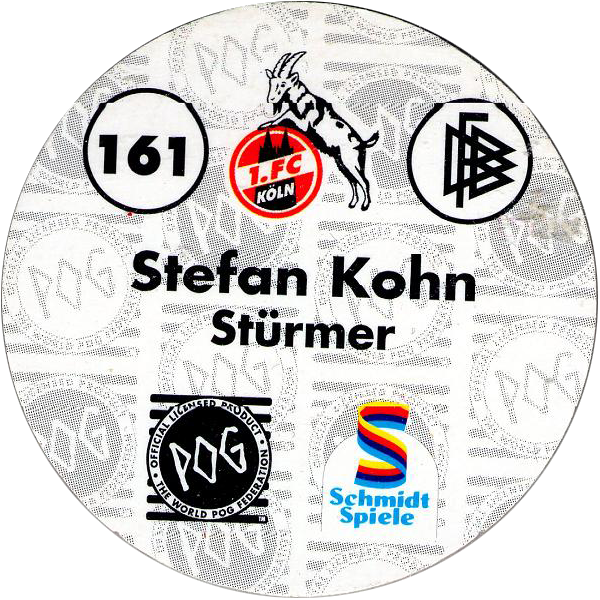 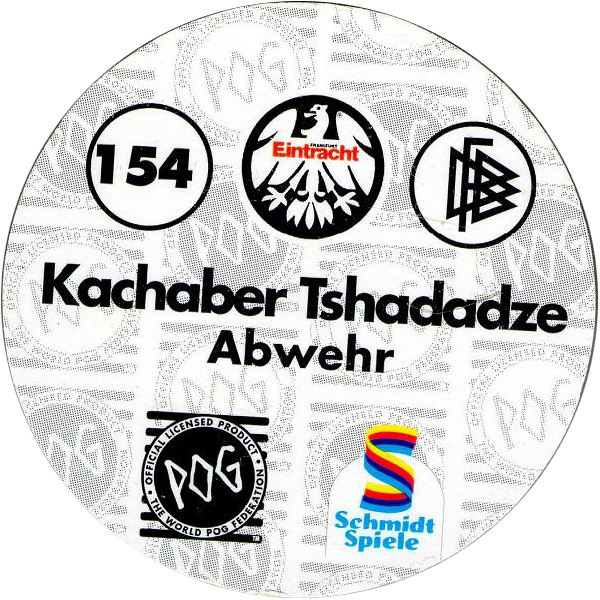 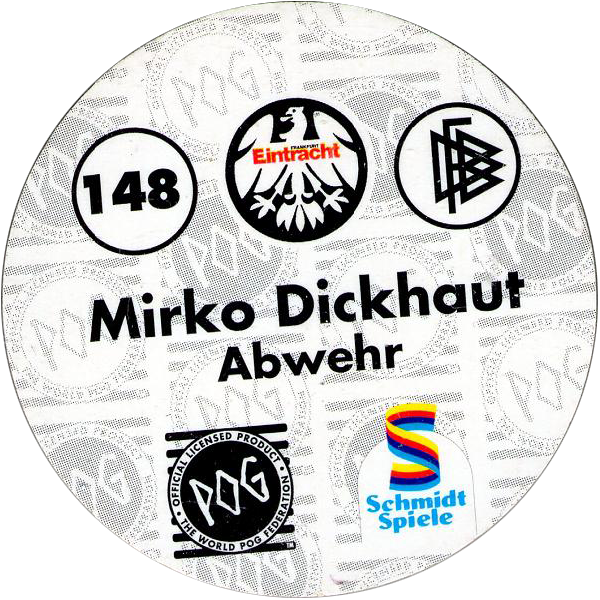 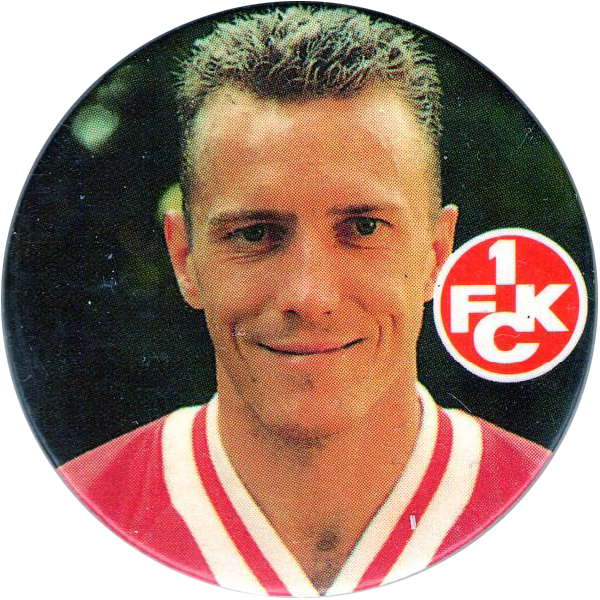 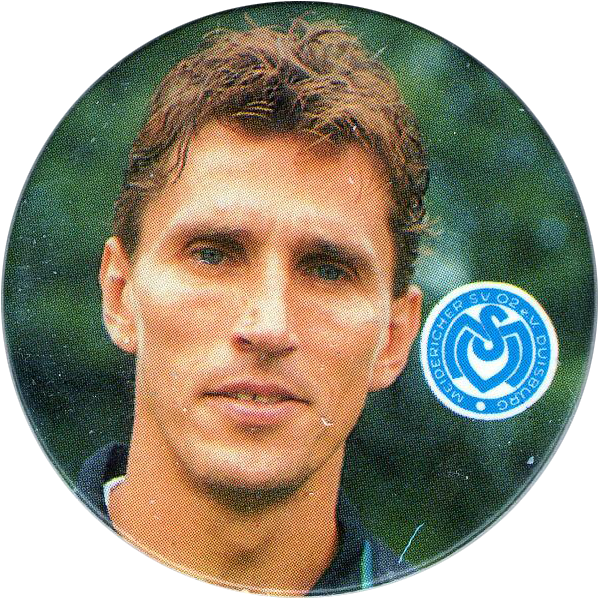 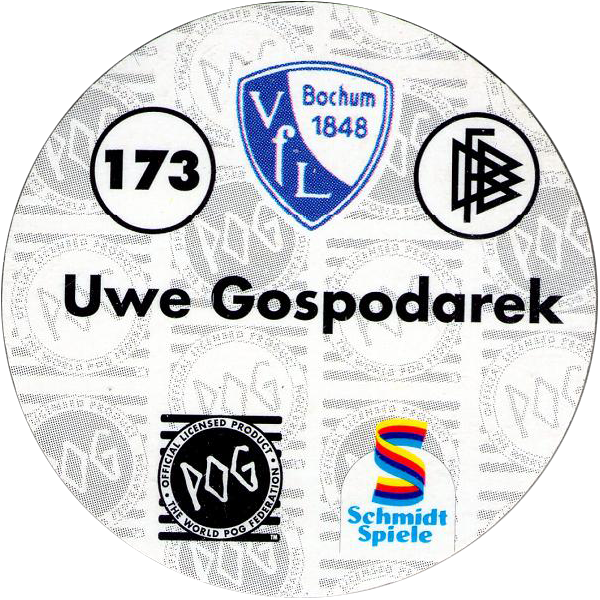 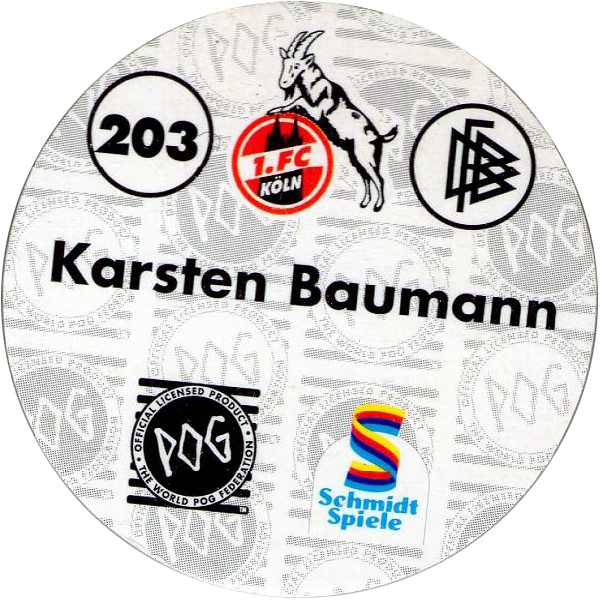 On the back of each pog at the top it has the number of the pog, the logo of the team the player plays for, as well as the logo for the Deutscher Fußball-Bund (German Football Association). 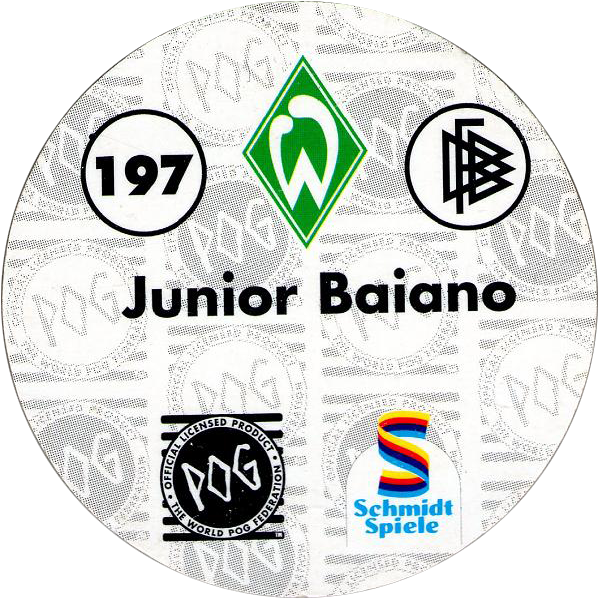 In the middle below it has the name of the player. 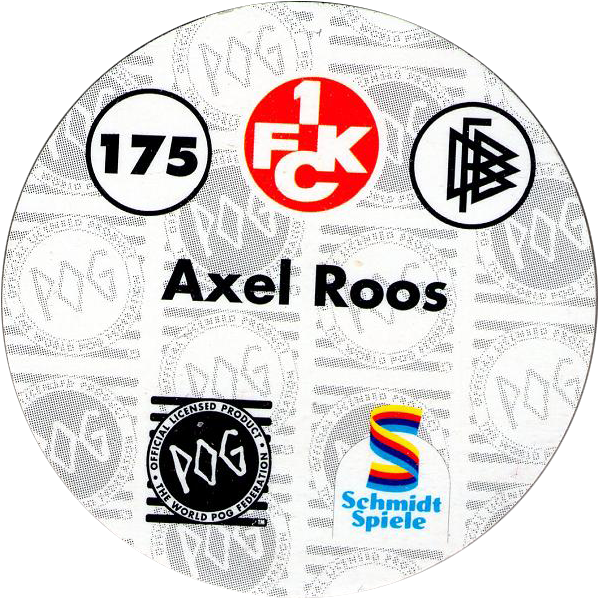 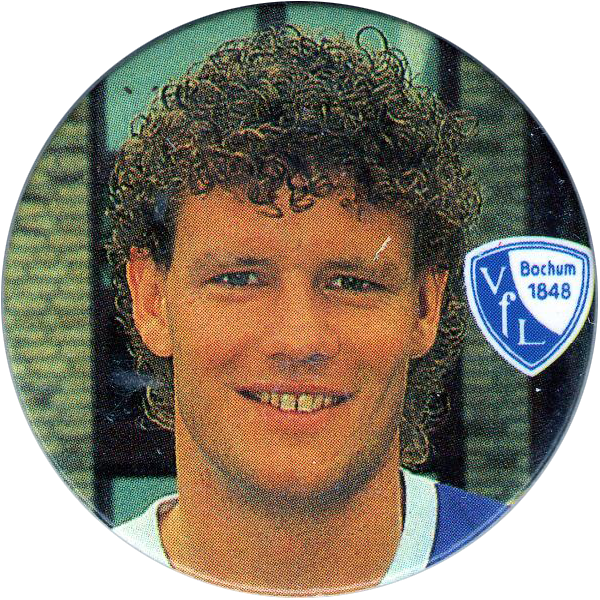 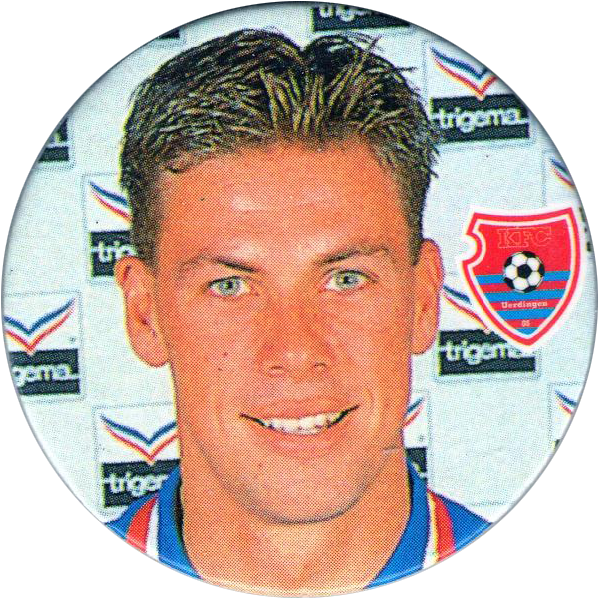 On some of the pogs it has the player's position below this. 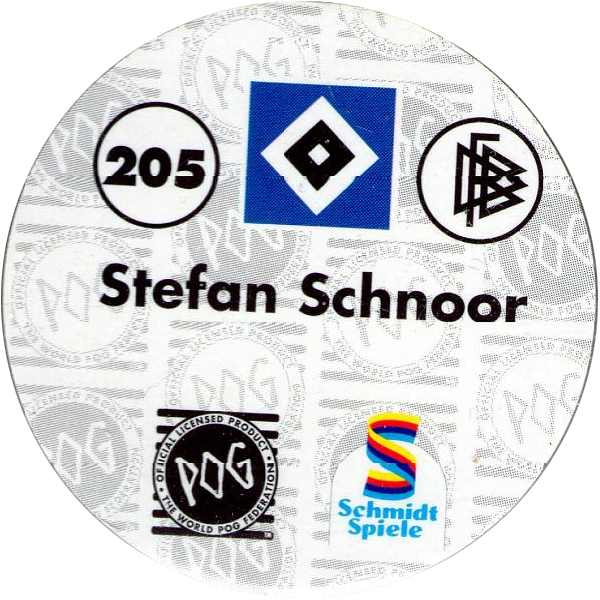 Then below that it has the POG logo and the Schmidt Spiele logo. Some of the pogs feature holographic foil on the front, using a range of different designs. 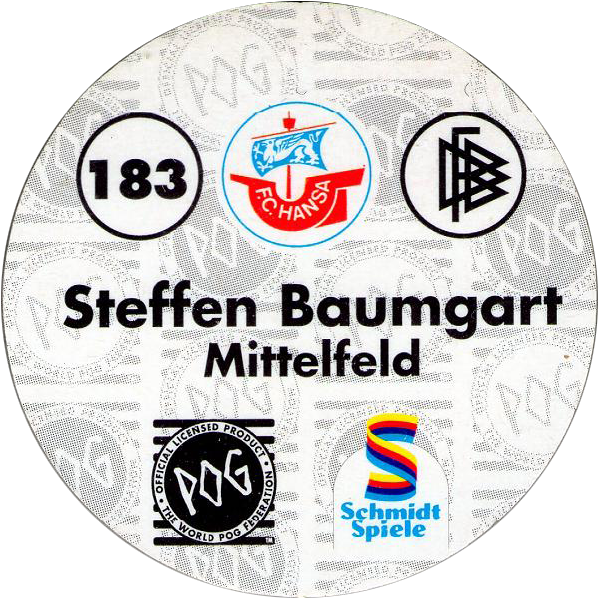 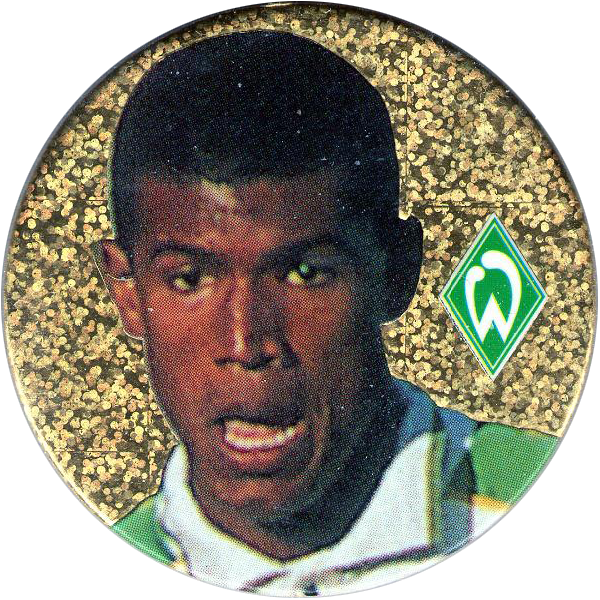 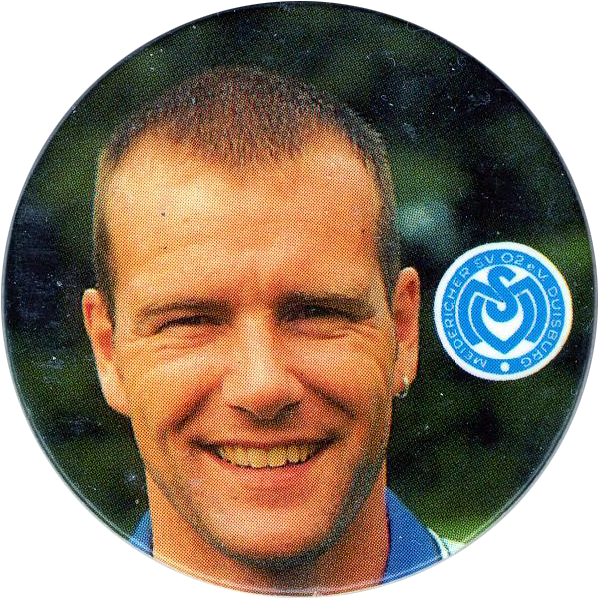 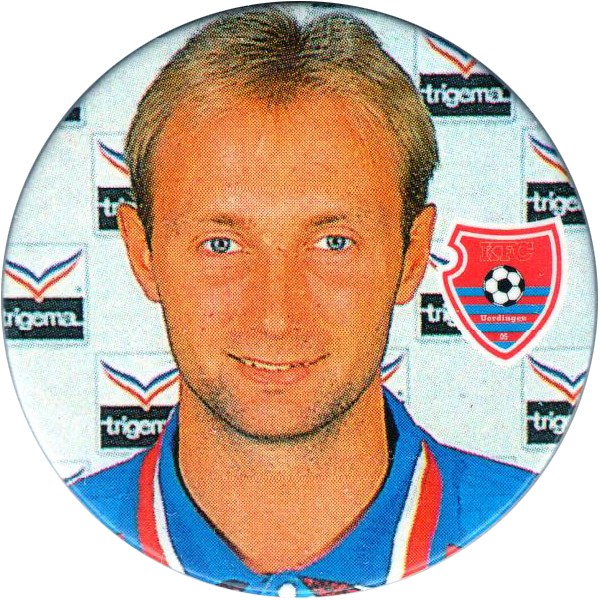 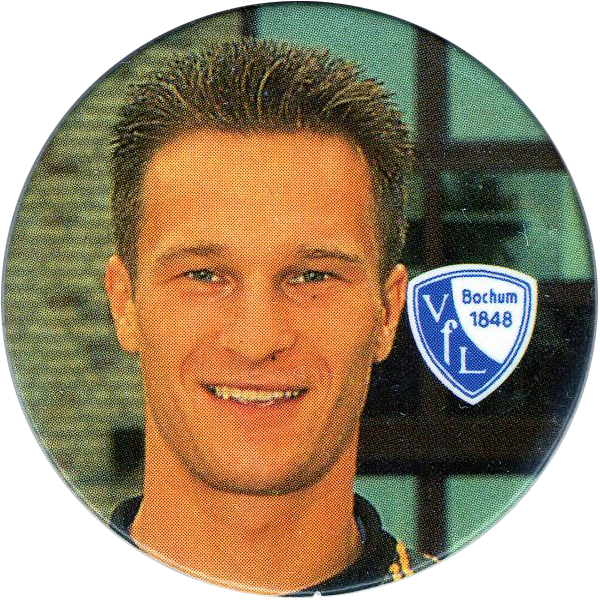 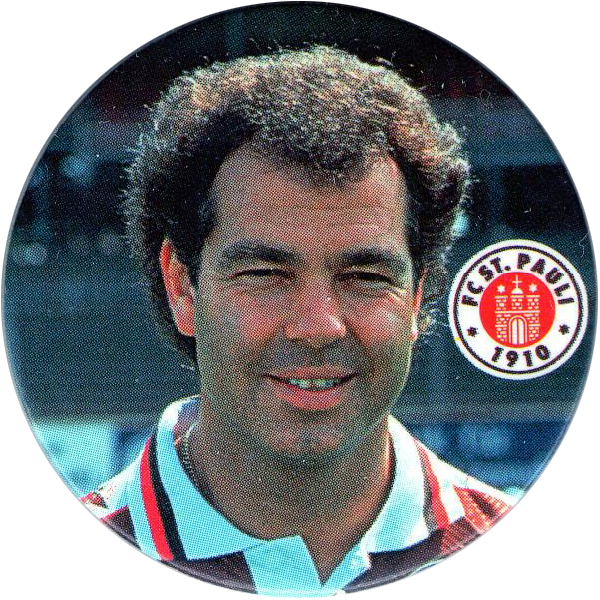 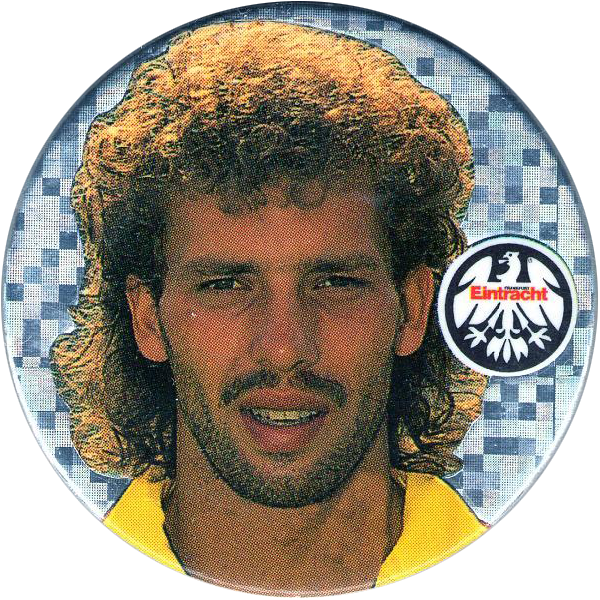 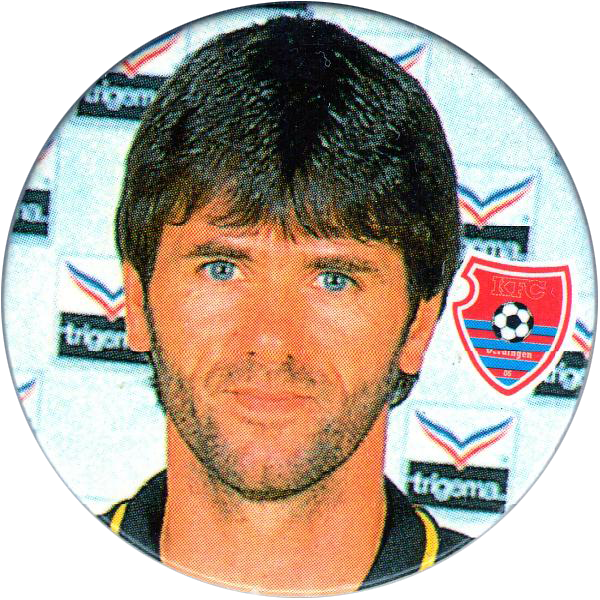 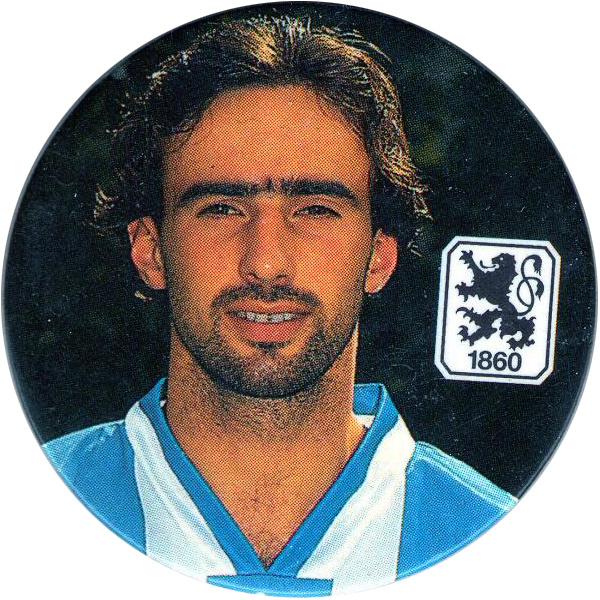 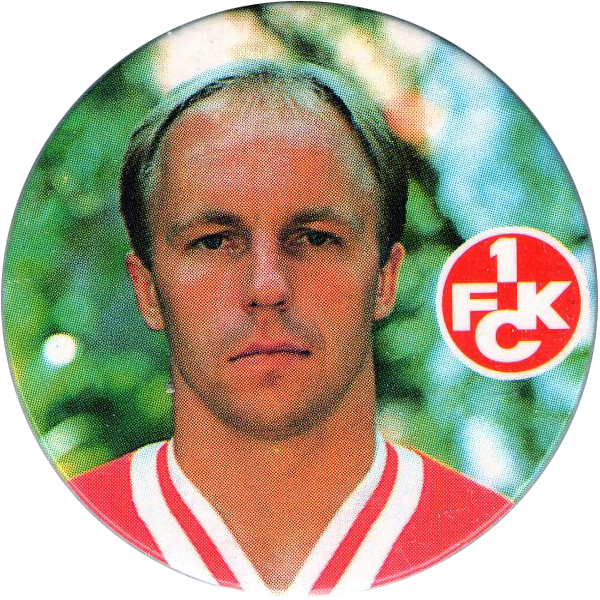 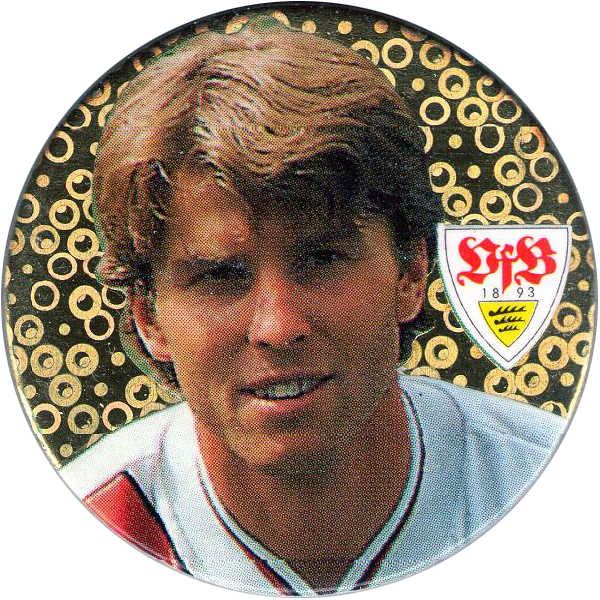 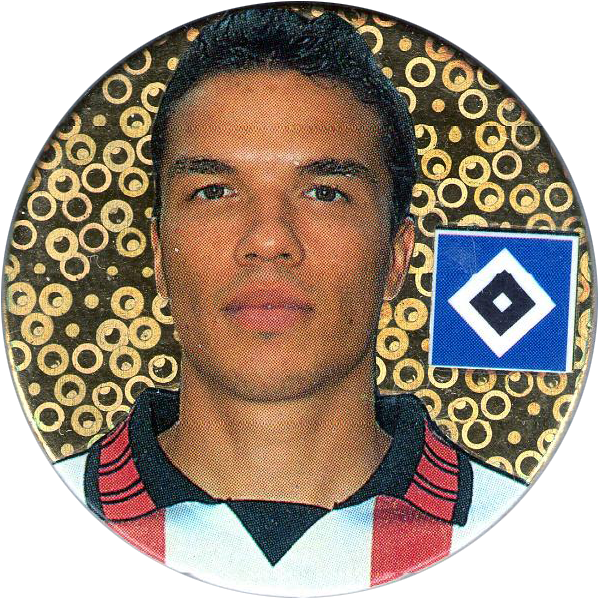 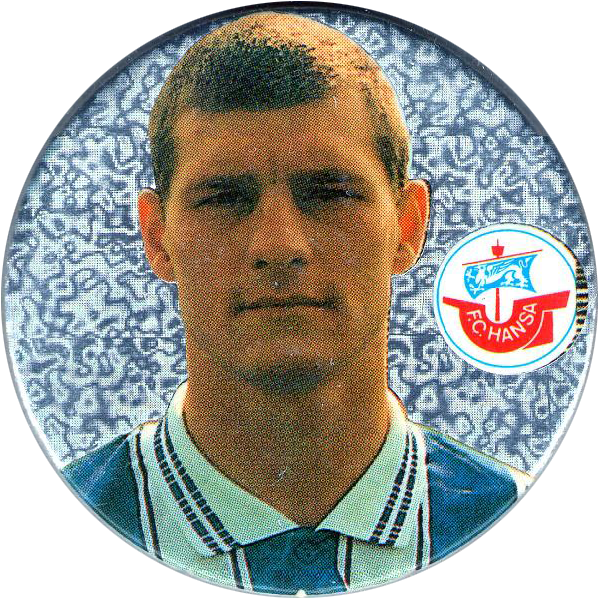 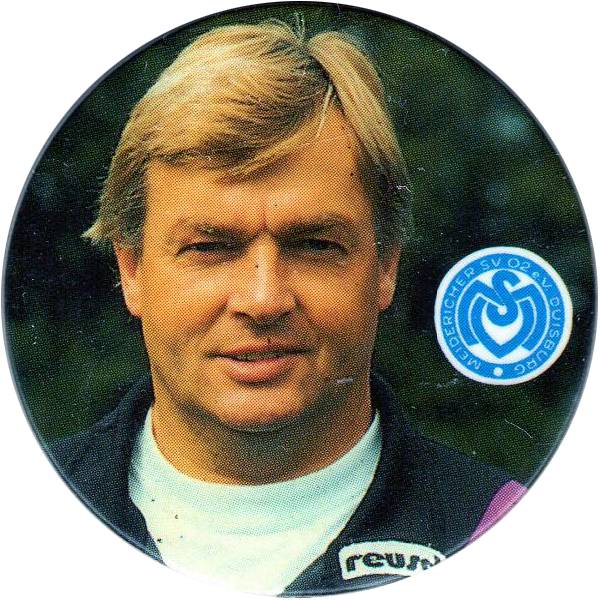 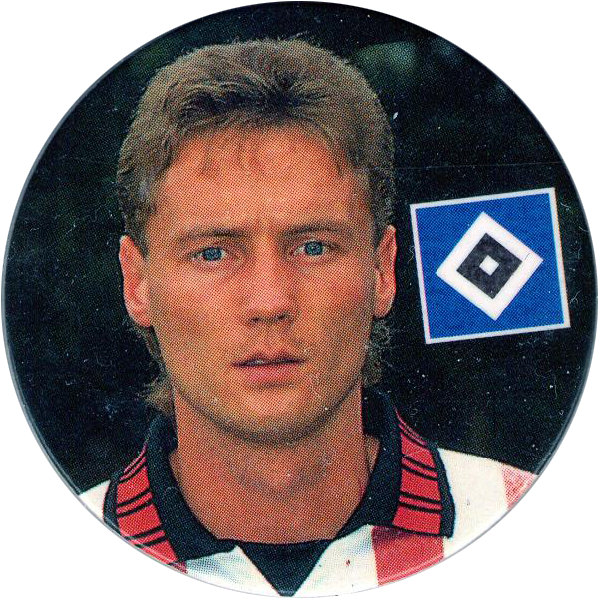 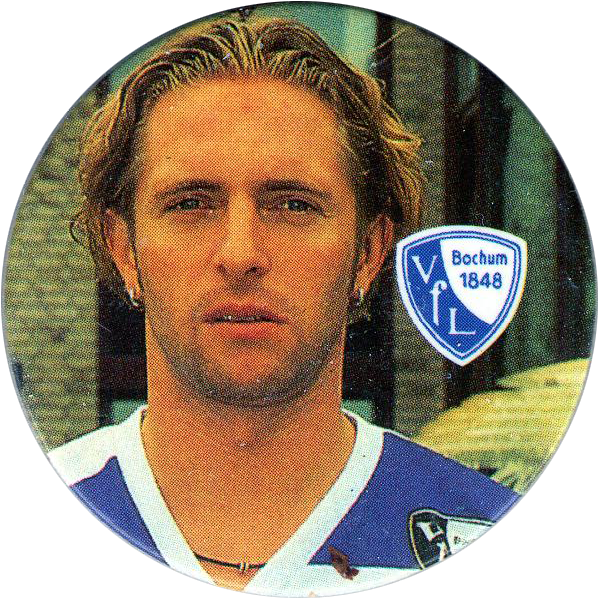 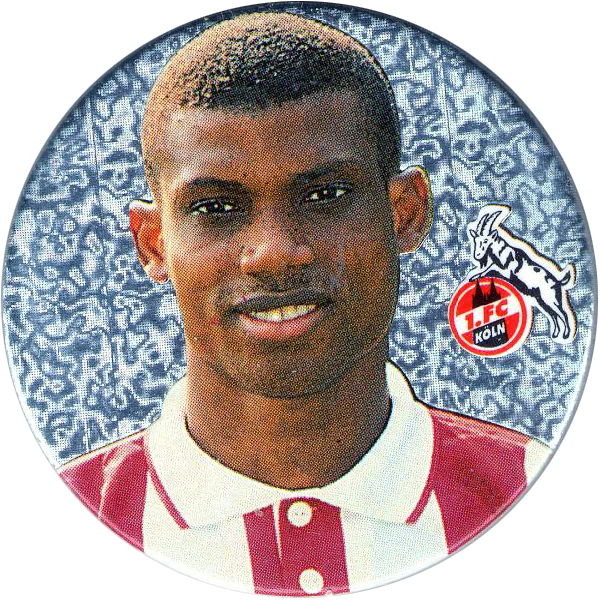 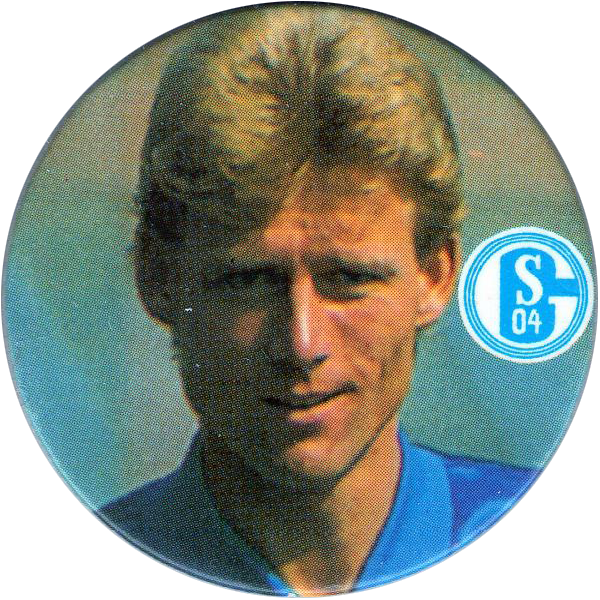 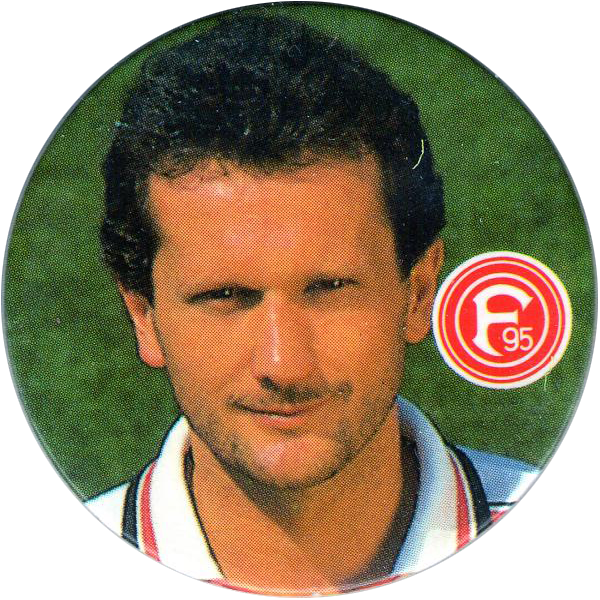 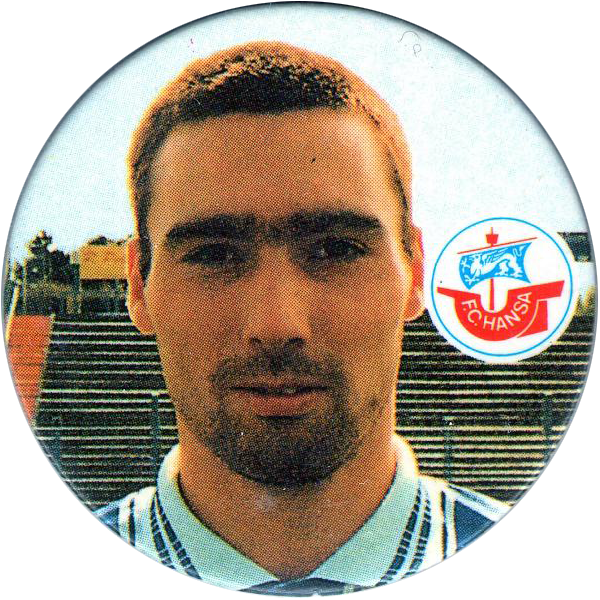 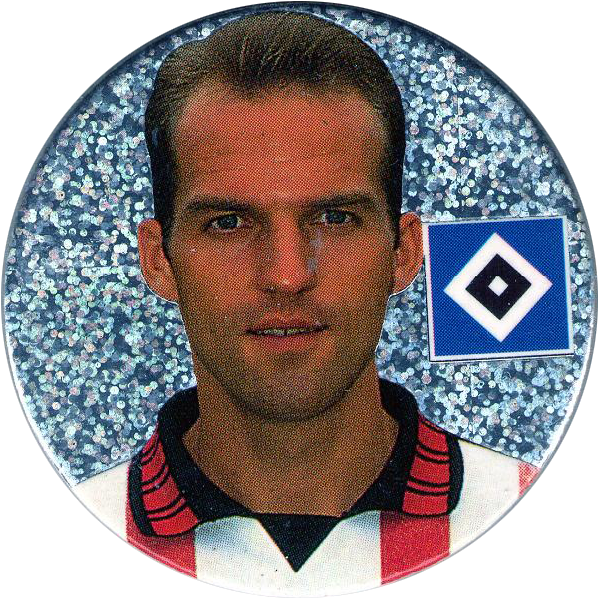 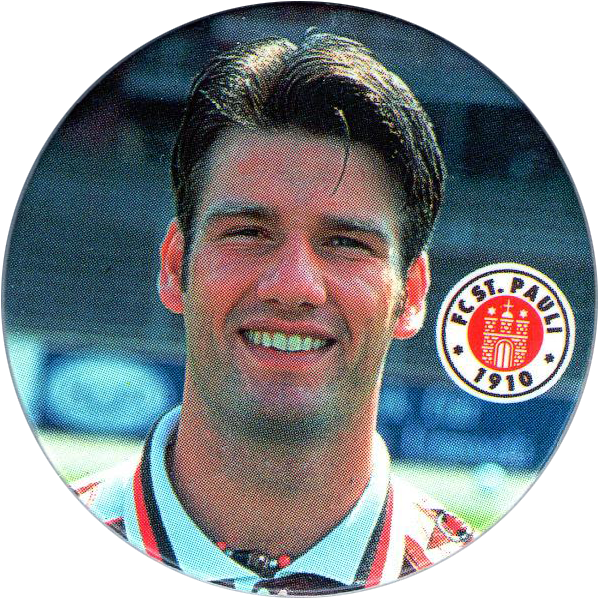 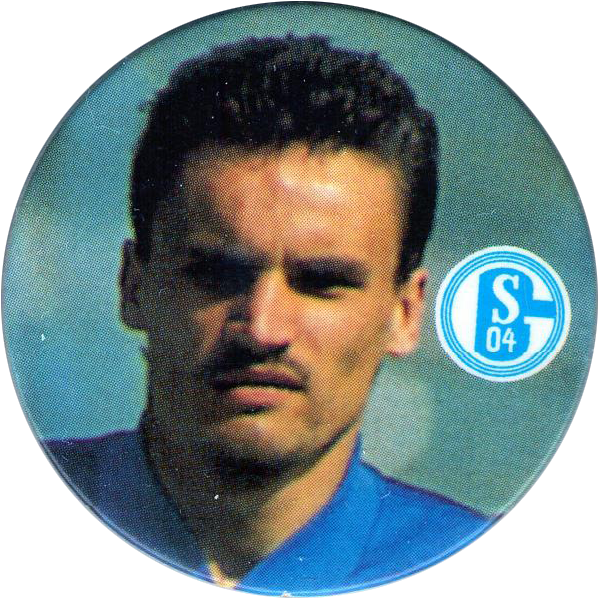 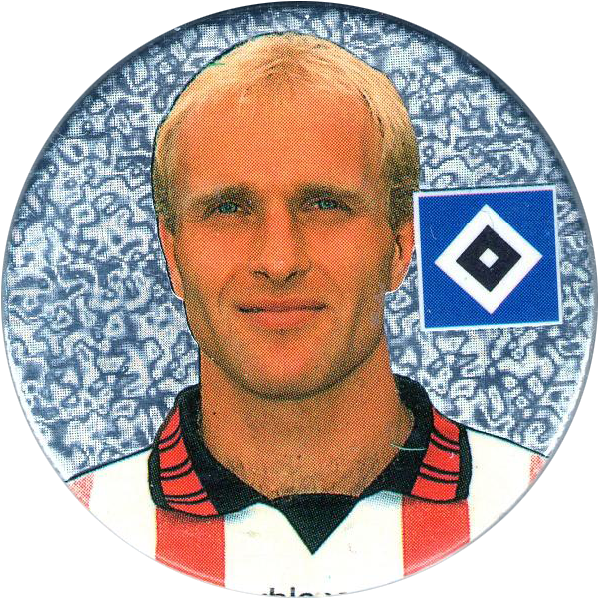 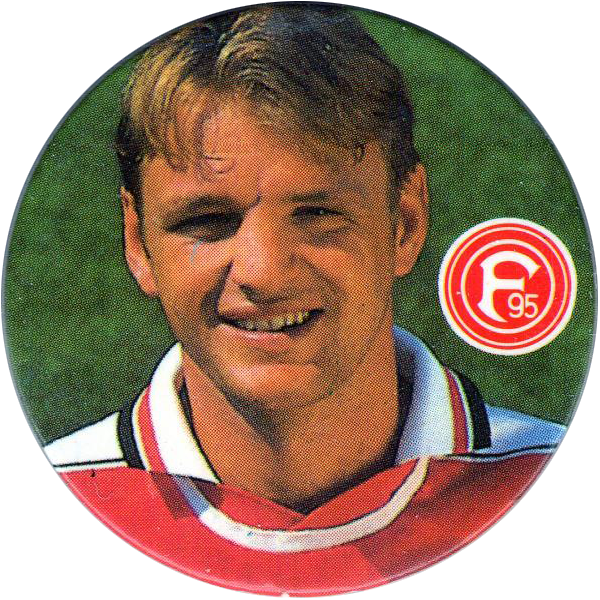 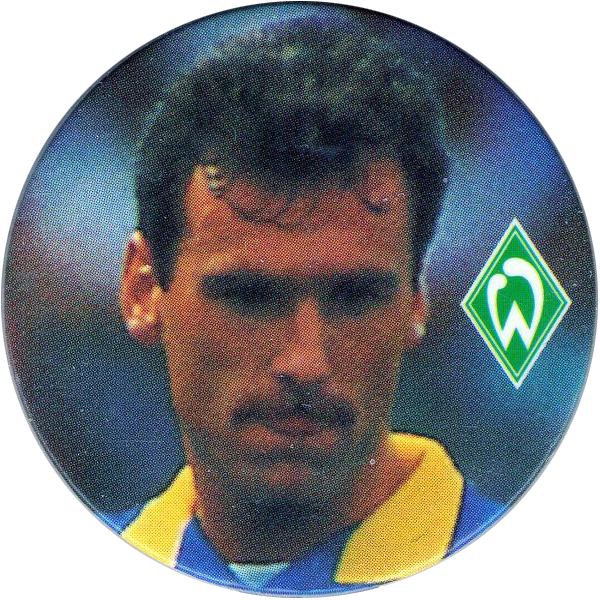 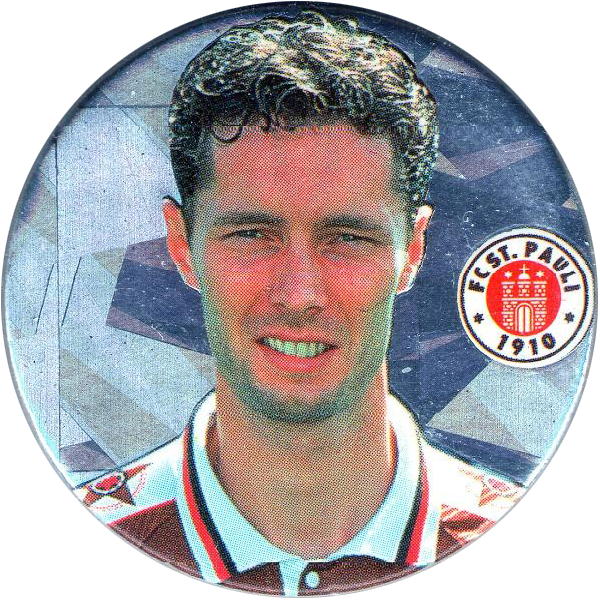 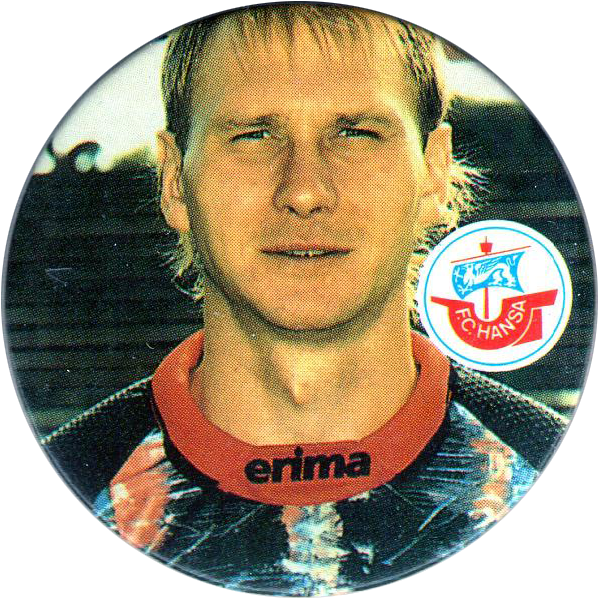 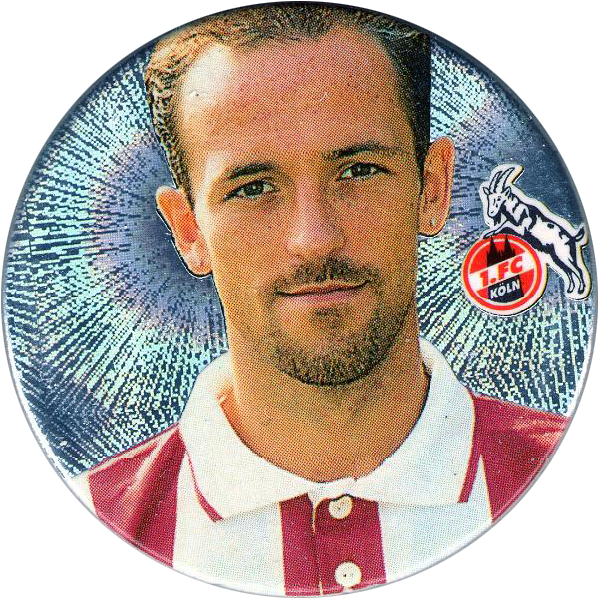 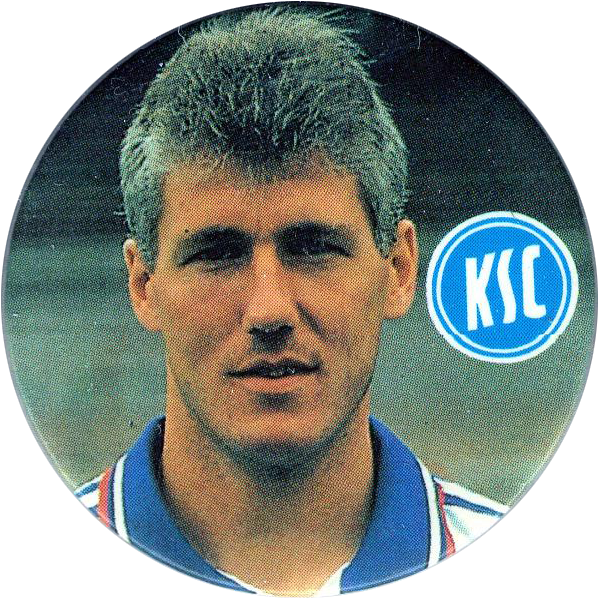 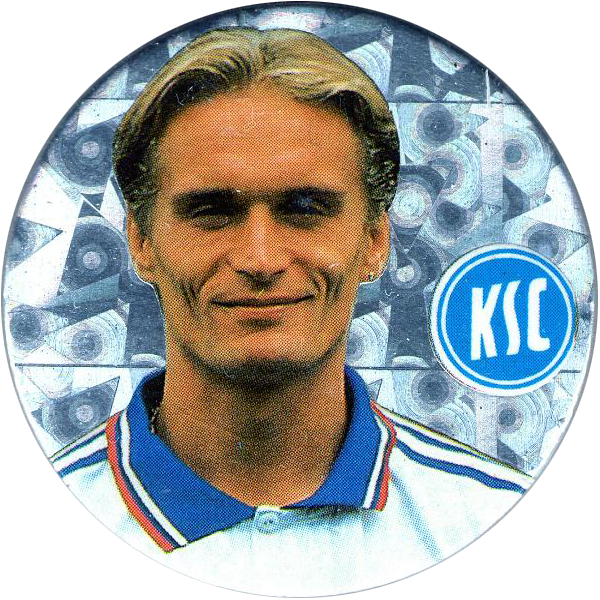 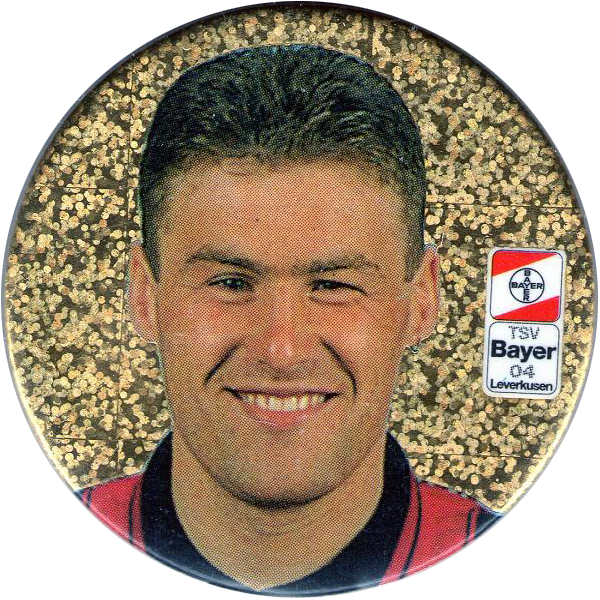 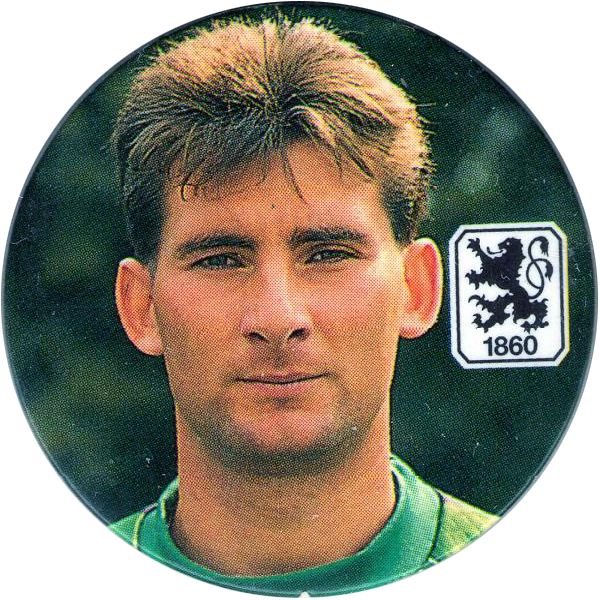 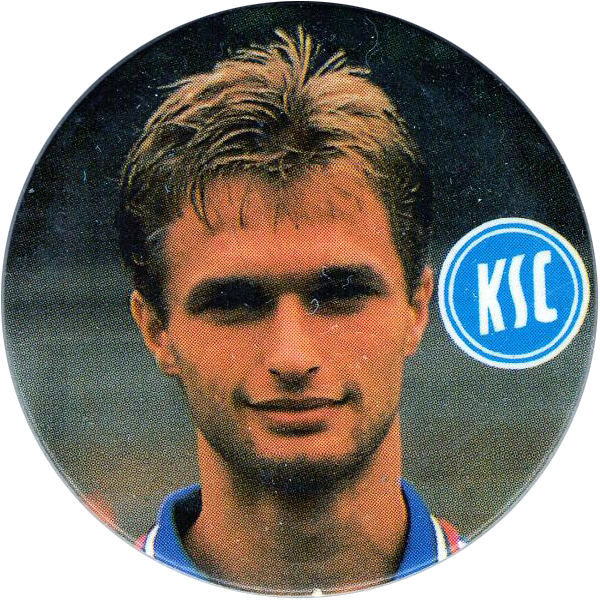 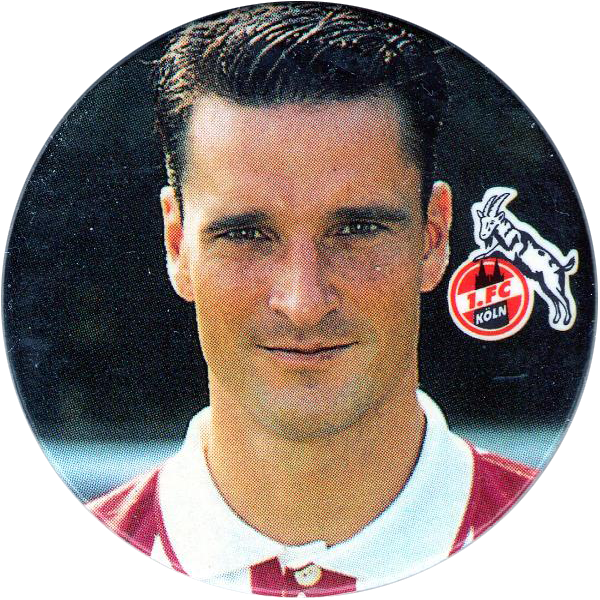 Thanks to Vincent for scans of the full set of 280 Schmidt Spiele WPF Bundesliga POG milkcaps. 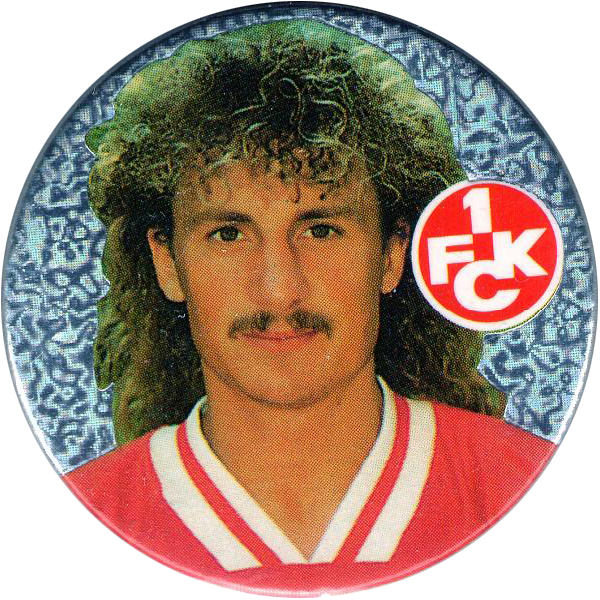 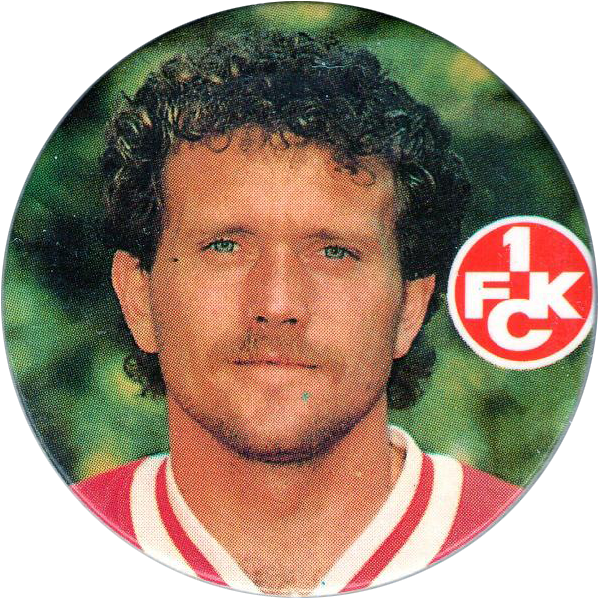 See also the set of Bundesliga Kinis.